cake – You Betcha Can Make This! There’s nothing that screams the holidays like cranberries. 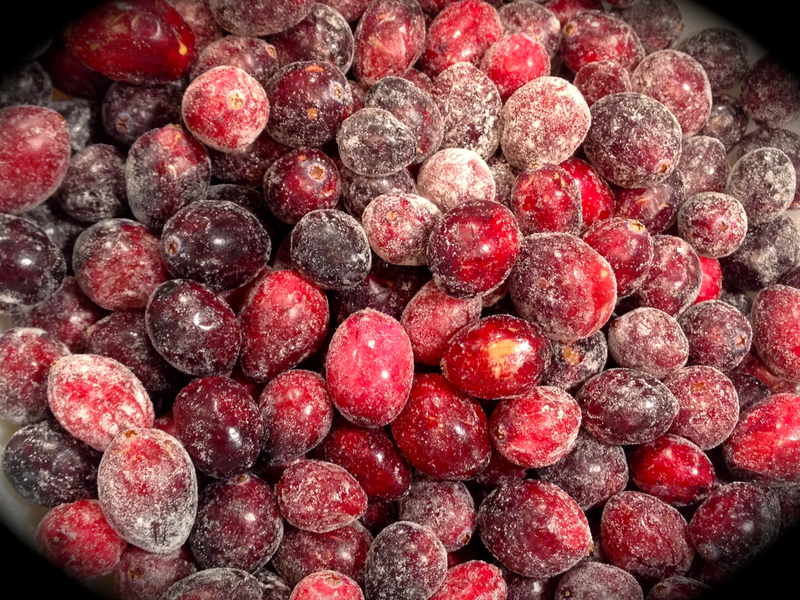 Did you know that 20% of cranberries grown are consumed over the holidays? The fresh ones are only around this time of year and their bright red color makes you want to burst into a Christmas song. And because I love them so much, I’m always looking for new ways to cook or bake with them. This particular recipe hits the jackpot as far as I’m concerned. Lesson Learned 1 – Grease the bottom and sides of the pan generously: If you don’t do this you’re dead in the water. The cake will never come out clean. Now by generously I don’t mean you need a build up of grease in the pan. Just make sure your pan (and this recipe calls for one 9 inch round cake pan) is thoroughly greased on the bottom and the sides. And make sure you only use butter to grease the pan, nothing else. Lesson Learned 2 – Can you make this in an 8 inch round pan: The answer is yes and no. This recipe makes a lot of batter and really calls for a 9 inch pan that is at least two inches high up the sides. 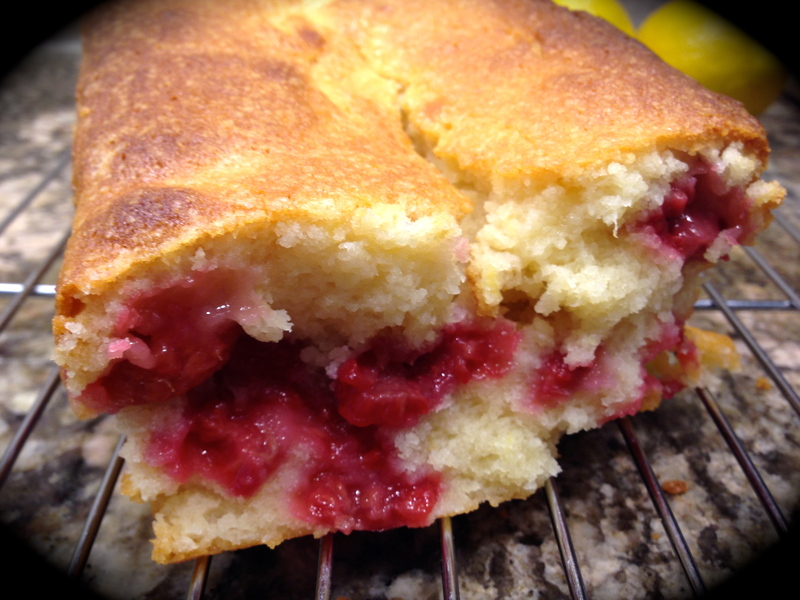 Once you put the cranberries in the entire batter will come close to the top if you use it all. I wound up leaving a small amount of batter out as I was afraid the cake would spill over the sides of the pan. I left a little less than 1/2 inch of space along the sides. I’m glad I did. The picture below shows what the cake looked like right out of the oven. You can see the cake is all the way up to the top of the sides of the pan. Next time I make the cake I may add a few less cranberries (the original recipe called for 12 ounces of cranberries – I did not use that either. I used about 10 ounces of the 12 ounce bag). The key to getting a nice top is making sure the cranberries are evenly spread over the brown sugar and butter base. Piling the cranberries slightly on top of each other also results in a few cranberries rising with the cake and creating some nice color throughout the cake, which I liked. I think you could use an 8 inch pan but keep in mind you will need less cranberries and you will have more batter left over. Either way, leave yourself a little less than 1/2 inch of space along the sides so your cake does not flow over the sides of the pan. Lesson Learned 3 – Don’t let the cake cool in the pan longer than 10 minutes: You want the cake to rest for a short time when it comes out of the oven. But you also want to make sure you can get the cake out of the pan. Remember what you have on the bottom is really sticky. Cool the cake for no longer than 10 minutes. Then take a butter knife and run it all along the sides of the pan. If you do this, your cake will come out easily. Mine did and it looked gorgeous. Let the cake cool in it’s “upside down” form. If you follow these simple lessons you should have no problem making this cake. And as always I will include sea level and high altitude amounts for the baking powder. I know you will love this one! Preheat the oven to 350 degrees. Generously butter the bottom and sides of a 9 inch round cake pan. Set aside. In a small saucepan, melt together the butter and brown sugar for the base. Make sure they are mixed well. Pour this mixture into the bottom of the cake pan. Spread the cranberries evenly over the butter/brown sugar mixture. Set aside. Whisk together the flour, baking powder, salt, cinnamon, ginger and cloves. In another bowl beat the butter for the cake until it is light and fluffy. Add the sugar and mix thoroughly. Add the eggs in one at a time and mix until combined. Stir in the orange zest. Mix 1/3 of the dry ingredients into the butter/egg mixture. Once combined beat in 1/2 of the sour cream until combined. Beat in the next third of the dry mixture until combined. Add the remaining half of the sour cream and beat until combined. Add the last third of the dry ingredients and beat until combined. Finally add the milk and beat until combined. Pour the batter over the cranberries making making sure to leave a little less than 1/2 inch of room from the top of the pan. 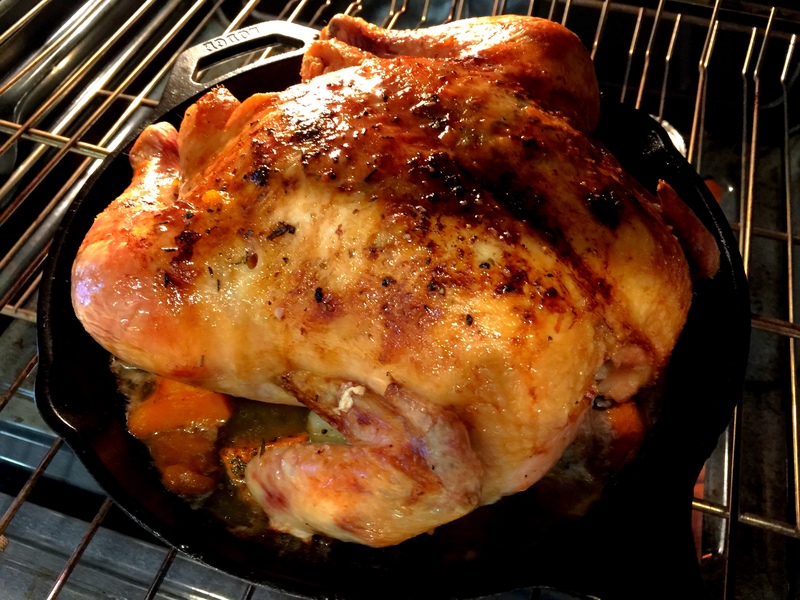 Place in preheated oven and lower the temperature to 325 degrees. Bake anywhere from 55 minutes to 70 minutes. (mine took 70 minutes – it will depend on your oven and your altitude). Cake is done when a toothpick inserted in the center comes out clean. Cool the pan on a wire rack for 10 minutes. Run a butter knife all around the edges of the pan. Place a plate on top of the pan and invert it. Let the inverted cake cool on the plate. Those of you who followed my blog over the years know that early on in my cooking/baking days I was heavily influenced by the Food Network. The early shows they produced were more about learning to cook and less about cooking contests and road shows. I miss those days. Remember Semi-Homemade with Sandra Lee? I really liked that show. 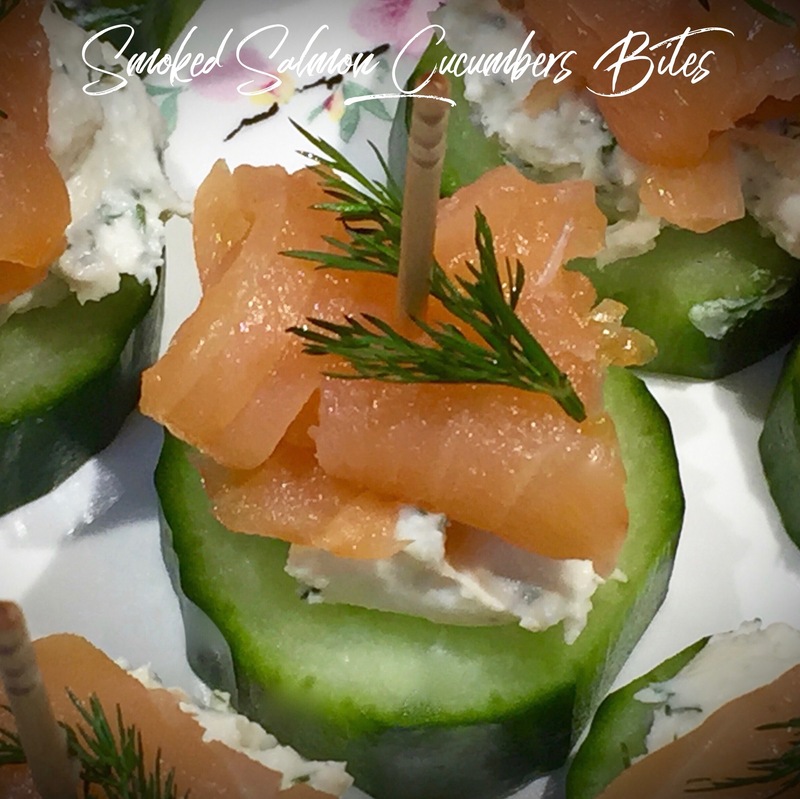 I felt Sandra showed people how to take a few simple ingredients, add it to something store bought and make it into something special without all the muss and fuss. In today’s world that is such a gift for the busy cook. Well, that is what this recipe is all about. I wish I could take credit for this but I can’t. I was at the grocery store looking for something to make, like a quick bread or muffins and I picked up this box of Krusteaz Cranberry Orange Muffin Mix. I looked on the back of the box to see if I could use this to make a quick bread and lo and behold on the bottom right hand corner was the recipe for this cake. All it required was a few extra ingredients, namely almond extract and fresh plums. The picture of the cake looked so good I just had to try it. Needless to say, it was fabulous and very easy to make so I felt I had to share it with all of you. Nobody has to know that this cake is semi-homemade. Lesson Learned 1 – Pick plums that are not overly ripe: You want plums that are hard. Hard plums are easier to slice and cook beautifully in the oven. It’s very difficult to get good slices with soft plums, even if you have a very sharp knife. The pieces tend to get mushy. So be aware of that. Also when you cut the plums, cut them like you would an avocado. I found it very hard to get the stones out of the plums. But if you cut the plum all around at the center and twist the two halves in the opposite direction, just like you do with an avocado, the plum halves will separate easily. You may have to dig a little with a sharp knife to get the stone out of the one half (be careful) but the harder the plum the easier that will be. Lesson Learned 2 – Create the plum arrangement you want on top of the cake on a paper plate first: I found I had to play with the plums a little to create the arrangement I wanted. You don’t want to be doing that on top of the batter. I took a dinner size paper plate and created my plum arrangement on that. When it came time to put the plums on top of the batter I simply moved them from the plate to the cake just like I arranged them. It was a piece of cake, no pun intended! 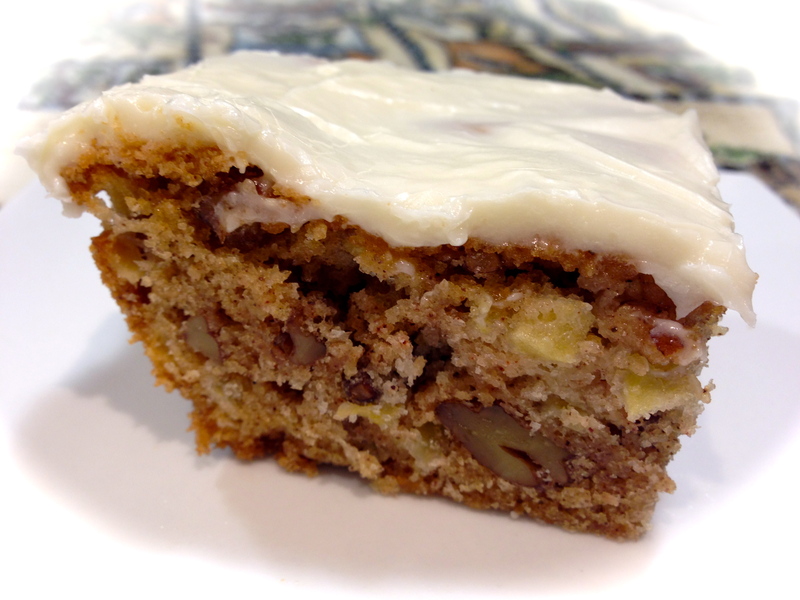 Lesson Learned 3 – You could also add chopped nuts to this recipe: I did not make it with nuts this time but you could add 1/2 cup chopped nuts to this cake as well. It’s all up to you! And the rest is easy. Just follow the directions on the box. I’ll write out the recipe here just in case the packaging gets changed. 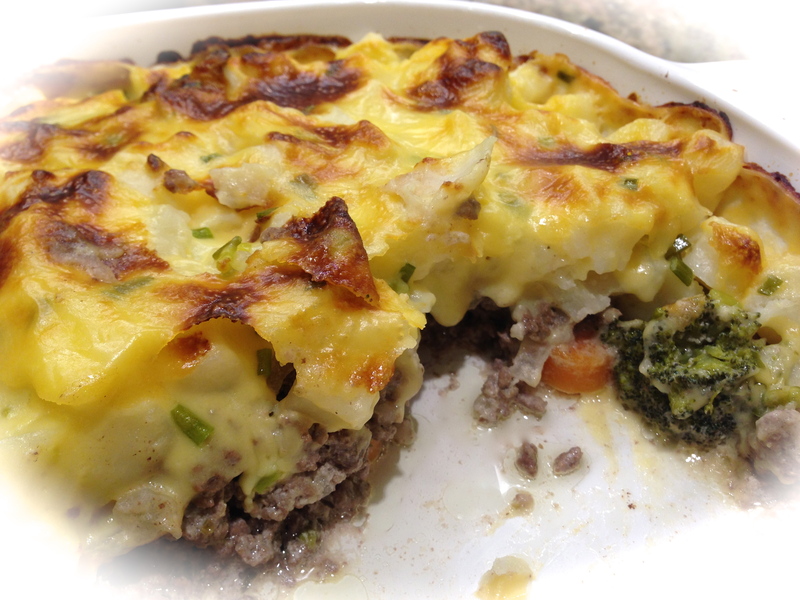 This is a quick, impressive and delicious semi-homemade recipe. I will definitely make this one again. Enjoy! Heat oven to 350. Mix well the muffin mix, eggs, water, vegetable oil and almond extract. Fold in the cranberries. Spray a 9 inch springform pan with baking spray. Spoon the batter into the pan. 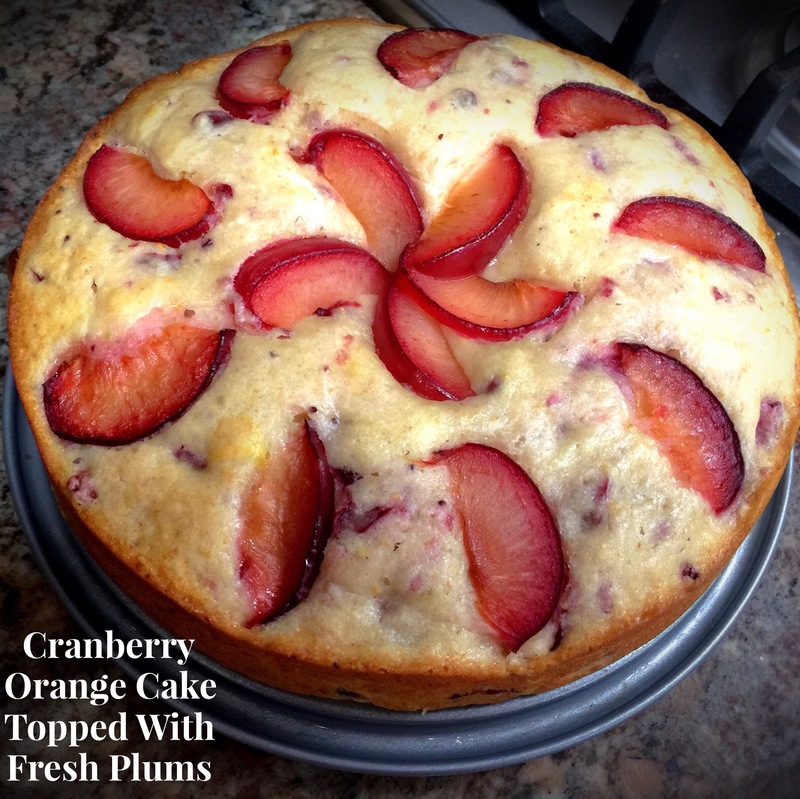 Arrange the plum slices evenly over the batter. Bake for 45 minutes or until a toothpick inserted in the center comes out clean. Let cool in pan for 15 minutes before removing. There are many reasons why Fall is my favorite time of year. First, I love the crisp Fall air with its milder temperatures. Second, I love the spectacular bursts of colors the trees and bushes provide. And third, I love Fall cooking and baking. The aromas in the kitchen at this time of year are like no other, from the smell of the first pot roast braising in the oven to the sweet smell of baked apples providing that warm feeling of comfort and home. Fall is definitely the best season of the year. So let’s start out the season by focusing on Fall baking! I chose this particular recipe because it embodies everything I love about Fall – apples, cinnamon, cream cheese, vanilla… need I go any further. The ingredients scream Fall and the smell of this cake when it’s baking in the oven beats any apples and cinnamon air freshener you could ever buy. 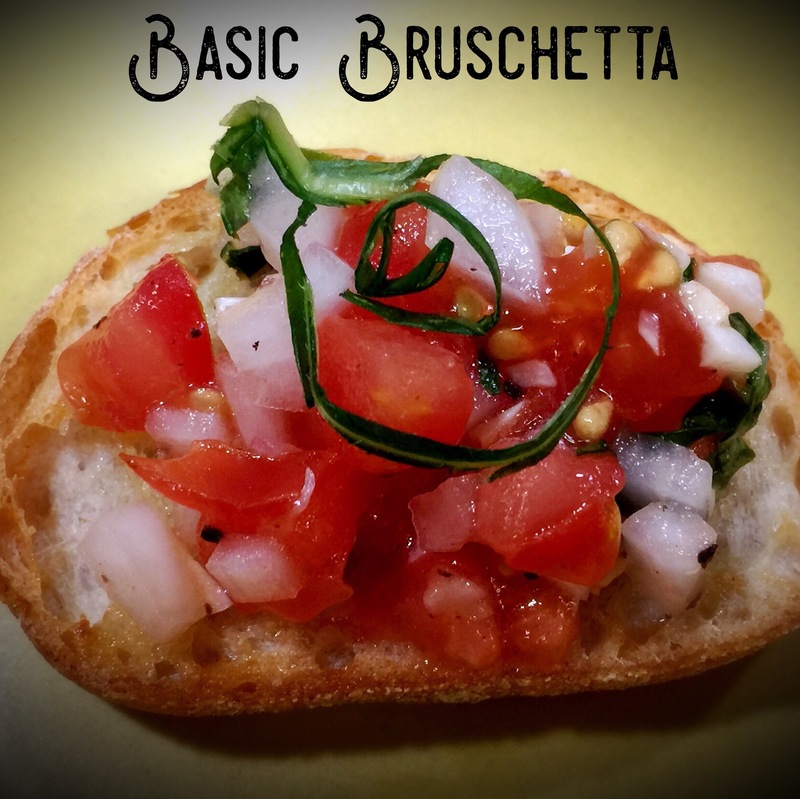 Lesson Learned 1 – Be organized when you make this recipe. This recipe has several components and the best way to make it is to be organized. First, that means reading the recipe thoroughly. Second, and I know this may sound silly, is to create a strategy for putting everything together. When I made this I did things in stages to stay on track and to keep the kitchen from being turned upside down. The first thing I did was shred the carrots. (If you can find carrots already shredded at your local store you can certainly use them). I used my food processor for that. Make sure you used the shredding disc as shown below. Cut the carrots and put them into the processor’s feeding tube. With the processor on, push the carrots down the feeding tube using the round plastic tool that comes with the processor. You will wind up with shredded carrots as seen below. I am going into such detail about this for a couple of reasons. First to show the correct disc to use to get shredded carrots. You don’t want to use the processor’s main blade for this. Second because this step takes up time and space. I found the best way to stay organized when making a recipe is to see if there are any components that require a machine other than a mixer and determine how using that machine may affect your work space. Once I shredded the carrots I put them in a bowl, washed my food processor and put it away. If you’ve ever worked with a food processor you know it’s comprised of several pieces and all those pieces needed to be washed. Washing them, reassembling the food processor and putting it away freed up a lot of work space for me – space that I could use to comfortably assemble the other components of the cake. After using the food processor I put together the cream cheese filling and set it aside, assembled the wet and dry ingredients, greased and floured the bundt cake pan, measured out the pecans (I purchased pecan pieces so I didn’t have to worry about chopping them) and lastly I cut up the apples. I saved the apples for last because I wanted as short of a period of time between when they were chopped and when they were incorporated into the batter. 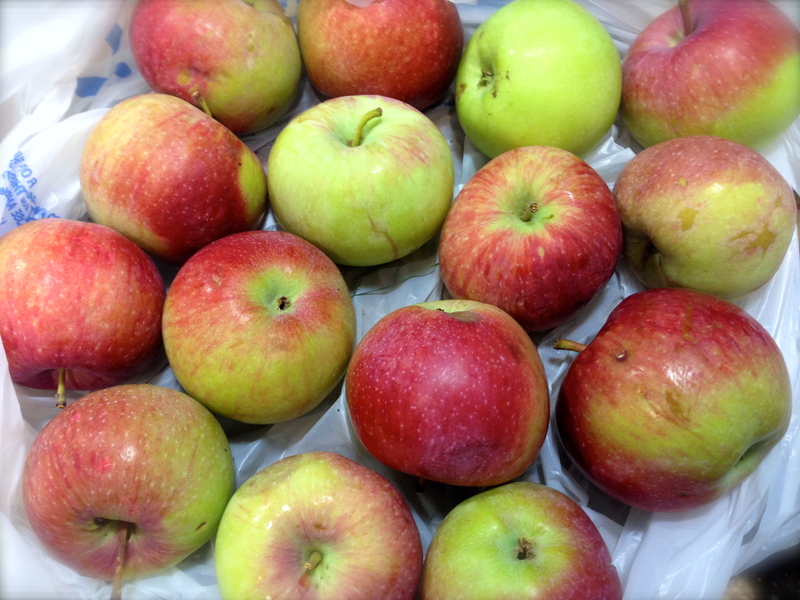 Apples, when cut, will oxidize meaning they will start to turn brown the longer they are exposed to the open air. By cutting them last I still had nice light green apple pieces to put into the batter. There are altogether seven major components of this cake and so the more organized you are the smoother the process of making the cake will go. Lesson Learned 2 – Check each egg before putting it into the batter: There are four eggs in this recipe and each one should be checked separately by cracking it into a small dish before adding it to the batter. You don’t want to add them all at once just to find you have one bad egg and then have to throw out all the batter. It only takes a few seconds to ensure that all the eggs you’re using are good. Lesson Learned 3 – For high altitude baking decrease the baking powder by 1/4 teaspoon. The baking soda amount can stay the same. Preheat the oven to 350. Grease and flour a 10 inch fluted bundt pan. Set aside. In a small bowl beat the cream cheese and 1/4 cup of sugar until smooth. Beat in 1 egg. Set aside. In a medium bowl combine the flour, baking powder, cinnamon, salt and baking soda. Whisk together until thoroughly combined. Set aside. In a large bowl beat together the oil with the remaining sugar and eggs until well blended. Gradually beat the flour mixture into the oil mixture until blended. Fold in the apples, carrots, and pecans. Put half of the better evenly around the bundt pan. Put the cream cheese mixture on top. Add the remaining batter on top of the cream cheese mixture. Bake 50-60 minutes or until a toothpick inserted in the center comes out clean. Cool 10 minutes in the bundt pan before removing the cake from the pan. To make the glaze – in a large saucepan bring the brown sugar, butter and milk to a boil. Cook and stir for 1 minute. Remove from the heat and whisk in the confectioners sugar and vanilla until smooth. Drizzle over cooled cake. Sprinkle with pecans. What can I say about this one. It is simply over the top. Not only does it taste divine but it’s gorgeous. What more can you ask for from a cake? Now I’ll admit this cake takes a little more work than most but the result is breathtaking. This is possibly the most professional looking cake I’ve ever made. And we know looks are important but bottom line it has to taste good. Well let me tell you in the taste department I would consider this to be divine. 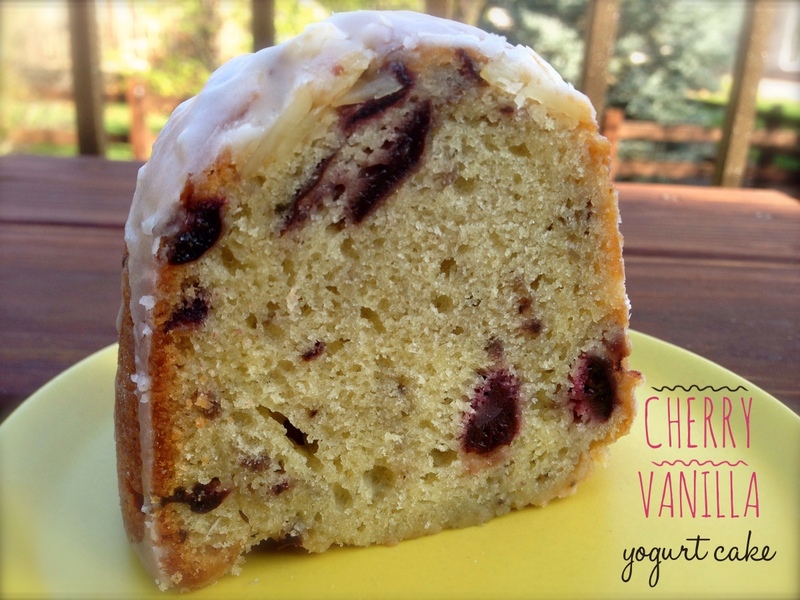 I mean what’s not to love – chocolate, flavorful cream cheese, cherry pie filling, vanilla glaze – it just doesn’t get much better than that. Lesson Learned 1 – Be organized when you make this cake: Really you should be organized when you make any cake but this one has so many components to it that your experience making it will be so much more delightful if you plan this out before you make it. Think about this one in stages. Get everything out in plenty of time that needs to be room temperature. In this recipe that means the eggs and sour cream. No need to worry about the butter because you melt that. Get the oven preheating. I believe it is better for your oven not only to be preheated but to be at the desired temperature for at least 5-10 minutes so that once you pop the cake pan in you can count on the oven truly being the correct temperature all throughout. Put together the dry ingredients (flour, sugar, kosher salt and baking soda) and set them aside. Measure out all of the remaining ingredients. I use little bowls to organize what needs to be measured. That way when you come to a certain juncture in the process you are all ready to go. This includes opening up the can of cherry pie filling and measuring out the amount needed. As you do that, try to opt for more cherries than filling as some fillings tend to be more juice and less cherries. Count out, drain and rinse your maraschino cherries. For my pan I needed 16 cherries, so a small jar of cherries will work just fine. Make the batter by combining the chocolate mixture with the dry ingredients. Now you’re ready to go. Wait to spray your bundt pan until the very end. For this recipe I recommend using a baking spray with flour. Coat the bundt pan liberally. You want it to be glistening all over before you begin assembling the cake. Because there are so many components to this recipe I guarantee you will be a lot happier and have more fun making this cake if you organize yourself. Lesson Learned 2 – Making the glaze: Making glaze for any type of cake or pastry couldn’t be easier. All it requires is some confectioners sugar, some liquid and perhaps some sort of additional flavoring. You can use water, milk, or heavy cream for your liquid and you can use a little extract, juice or zest to enhance the flavor of the glaze. More often than not I use milk as the liquid and in this particular recipe I used a little vanilla extract to enhance the flavor. Keep in mind you need very little liquid to create a glaze. Normally it works out to about 1 cup of confectioners sugar to about a tablespoon or so of liquid and then, if using a liquid extract, only about 1/8 teaspoon of that. But don’t get bogged down in the measurements. If your glaze is too thick just add a little more liquid to thin it out. If it becomes too runny, add a little more confectioners sugar. Glaze is very forgiving and can be made to the correct consistency with some easy minor adjustments. 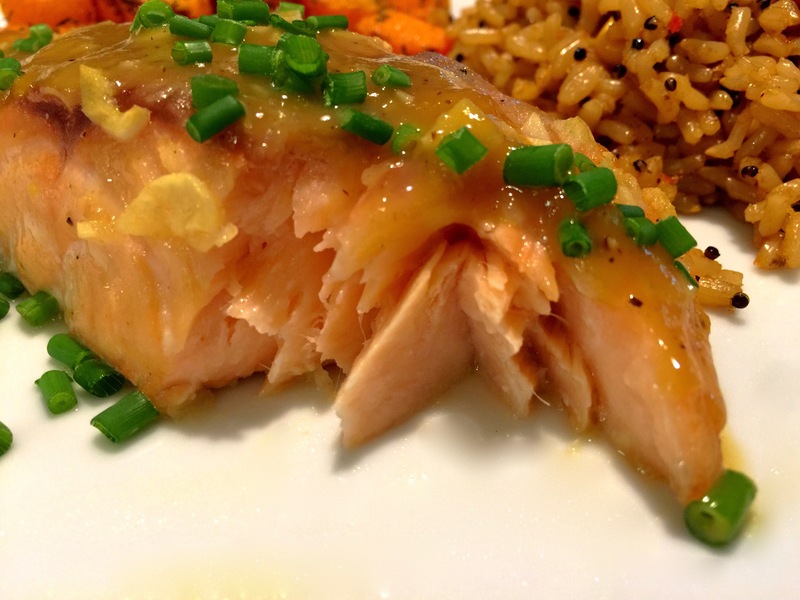 One caveat – don’t use the additional flavoring to thin out a glaze. The flavor can become overpowering if you do that. And lastly, I don’t always have heavy cream around the house, but when I do I use it as my liquid. That is when you get the richest flavor. I just can’t convince myself to buy a pint of heavy cream for the needed tablespoon I will use in a glaze. But it’s all up to you. This cake is so good and so worth the effort. Try it – I just know you will like it! Preheat oven to 350 degrees. Make the cream cheese filling by beating together the cream cheese, sugar and vanilla until fluffy. Add the flour and egg and beat until smooth. Set aside. In a large bowl combine the flour, sugar, salt and baking soda. Whisk until thoroughly blended. Set aside. In a saucepan melt the 3/4 cup butter. Add the water and stir to blend. Add the cocoa and espresso powder and whisk until there are not lumps. Add the chips and stir until they are completely melted and the mixture is smooth. Add the chocolate mixture to the dry mixture and whisk until combined. Blend in the sour cream. Add the eggs and vanilla and mix until combined. Spray a 10-12 cup bundt pan thoroughly with baking spray with flour. Melt the 1 1/2 tsp of butter and pour it evenly into the bottom of the pan. Evenly sprinkle the brown sugar on top of the melted butter. 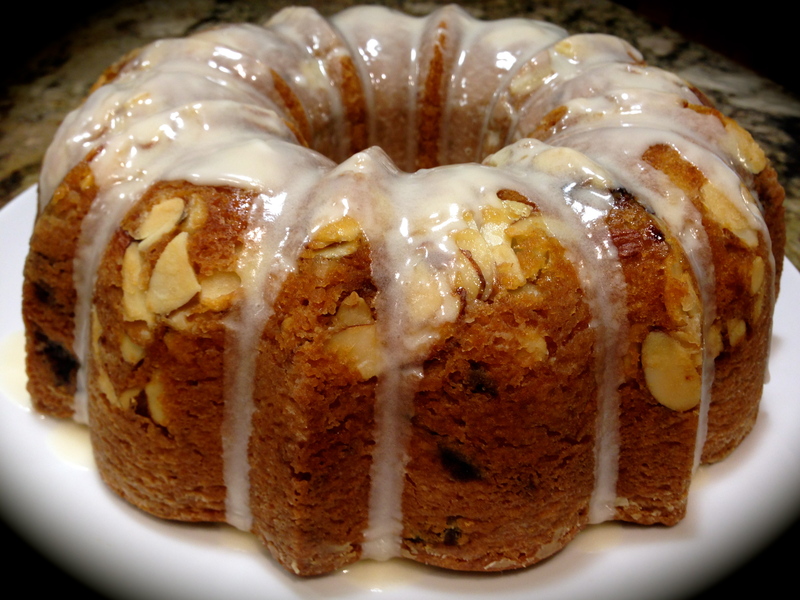 Place two cherries on top of the brown sugar in each of the larger grooves of the bundt pan. Fill the bundt pan with half the chocolate batter. Spoon in the cream cheese filling on top making sure not to have the filling touch the sides. Spoon the cherry pie filling on top of the cream cheese, making sure the filling does not touch the sides of the pan. (You may have some leftover cream cheese and cherry pie filling). Pour the remaining batter evenly on top making sure to cover the cream cheese and the cherry pie filling completely. Bake for 50-60 minutes or until a toothpick inserted in the center comes out clean. Cool the cake in the pan on a wire rack for 10 minutes. Put a plate over the bottom of the pan and flip the cake out of the pan onto the plate and let cool completely. Mix together all of the ingredients for the glaze. Drizzle the glaze over the cooled cake. There’s nothing like a cake that is so moist it melts in your mouth. But baking a cake from scratch and getting it that moist can be a challenge, especially living in high altitude like I do. Well, fear no more. I stumbled upon a baking method that produced one of the moistest cakes I’ve ever made. Now I have a couple of different recipes for banana bread on this site, but this one hands down is the most moist and flavorful. The difference between this recipe and the others is how you bake the cake. In this recipe you preheat the oven to 350 and once you put the cake in the oven you turn the temperature down to 300 for the remainder of the baking process. I never tried a process like this before and the result was my husband saying this was the moistest cake I ever made. Lesson Learned 1: Make sure your bananas are really ripe: and by really ripe I mean the peels are really dark, dark brown as in the picture to the right. You don’t want a lot of yellow on your banana skins and you definitely don’t want any green. Most of the time the bananas you buy in the store are under ripe, mainly green and yellow. Those bananas have not reached their full peak of flavor. The skins need to look pretty dark. As the banana ripens it releases more sugar and becomes more flavorful. And as they ripen the skins turn darker. If you want the best tasting cake you need to use bananas with dark skins. Now if you want to make this cake today but only have yellow and green bananas, there’s a way to ripen them on the spot. 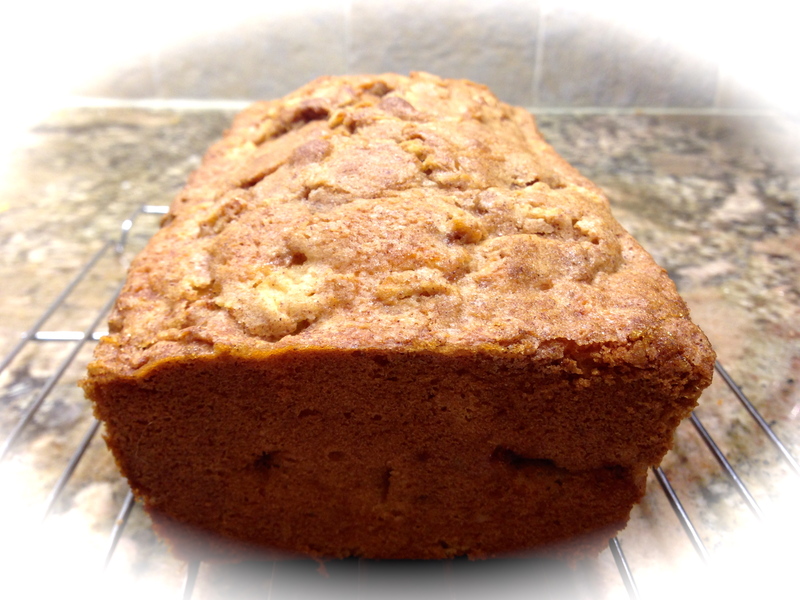 Just click on this link for my banana bread recipe and you’ll find a neat little trick that gives you ripe bananas anytime you want them. Lesson Learned 2 – Beat the butter, sugars, eggs and vanilla until velvety: The picture below shows the correct consistency for this standard blend of ingredients for many recipes. The more velvety these ingredients, the better the rest of the ingredients will combine with it. Most people err on doing this process way too fast. I say beat the living daylights out if it. You’ll be pleased with the end result if you do. Lesson Learned 3 – With this recipe baking time will vary: The recipe that I based this on stated that it took 60 minutes for the cake to bake. It took my cake an hour and a half. Now I know a lot of that had to do with me living in high altitude, but this is definitely a cake you will need to keep your eye on. Not only is the atmosphere a factor in the cooking time, but also all ovens vary and your oven may take a shorter amount of time to bake this cake than mine. I started checking mine at 55 minutes and could tell right away it needed a much longer cooking time. In the end, the most sure fire way to determine if it is done is to insert a toothpick into the center of the cake. If it comes out clean, the cake is done. The picture below shows what the cake looks like when it is done. Lesson Learned 4 – This recipe makes more than enough frosting: Next time I make it I’m planning on cutting the frosting amount to 75% of what I will list here. With what I list I was able to put a thick amount of frosting on the cake (as seen below) and I still had some left over. Some people don’t like a lot of frost on their cake, and you certainly don’t want to minimize the flavor of the cake by overpowering it with frosting. You need to make the frosting based on how you like a cake frosted. So use your judgement on this one. I was really pleased with how this cake turned out. 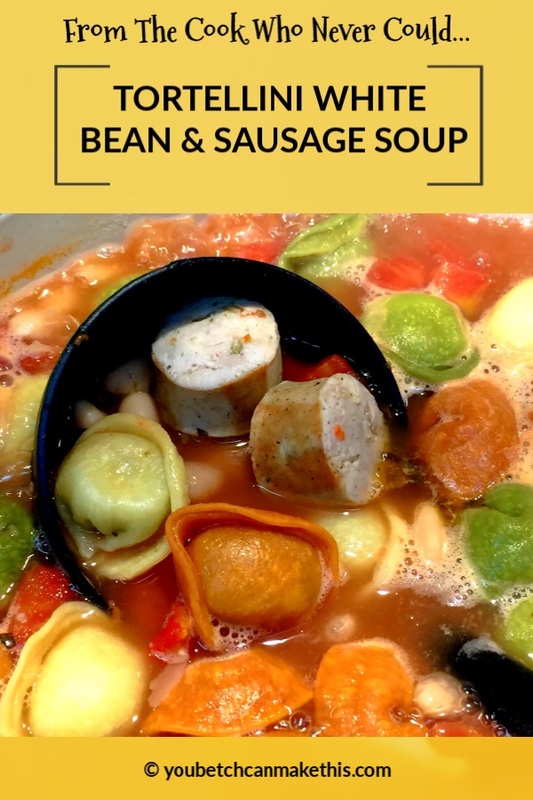 I shared some with my co-workers and also with my neighbors and the consensus was this recipe is a winner. So try it and let me know what you think. 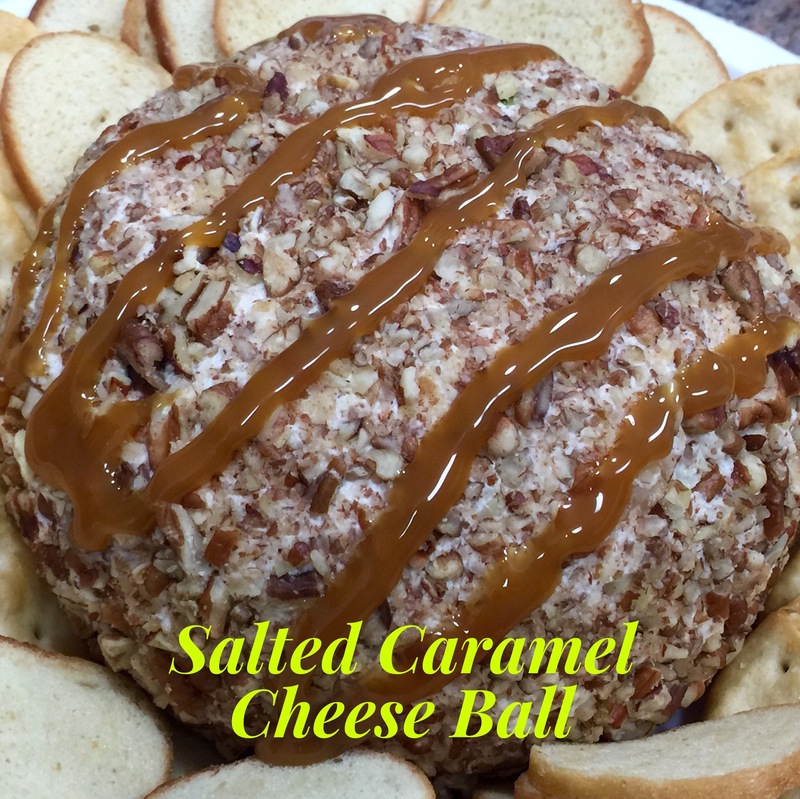 You betcha can make this! Preheat the oven to 350 degrees. Grease and flour or use cooking spray and prepare a 9 x 13 pan. Take 1 1/2 Tbs. of lemon juice and combine with the milk. Set aside. Mash the bananas and mix with 1 Tbs. lemon juice. Set aside. Combine flour, baking soda and salt in a bowl. Whisk for a minute to combine. Set aside. Beat together the butter and sugars until creamy. Beat in one egg at a time. 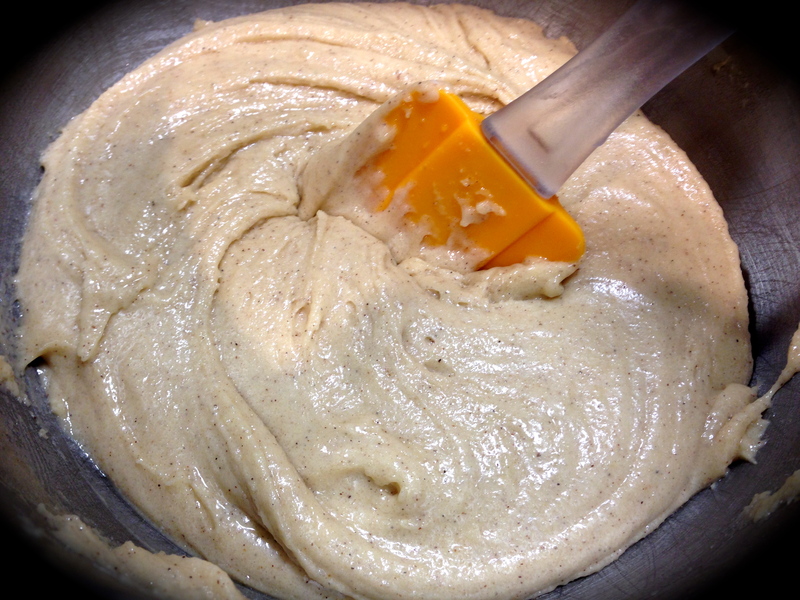 Beat in the vanilla, until the entire mixture is smooth and velvety. Alternate adding the flour mixture and milk mixture beginning and ending with the flour mixture. Do not over mix but make sure everything is fully incorporated. Gently fold in the bananas. Pour mixture into the prepared 9 x 13 pan. Put in oven and reduce the temperature to 300. Bake at least 55 minutes. (Do not open the oven for any reason during the first 55 minutes). At that point check the cake for doneness. If a toothpick inserted in the center of the cake comes out clean, it is done. If not, continue baking. The baking process could take as much as 1 1/2 hours. Remove the cake from the oven and cool completely before frosting. To make the frosting place all of the ingredients in a medium size bowl and beat until creamy. Just about everyone has their favorite chocolate cake recipe. I like to experiment with various recipes, give them a spin of my own, and this time I think I really hit the jackpot. 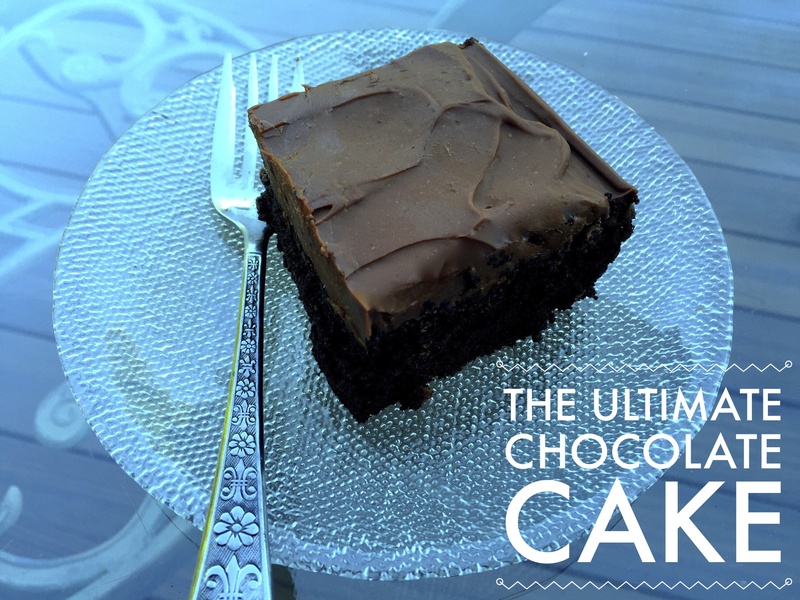 If you want an easy to make, moist – and I do mean moist – dark, luscious and oh so chocolatey cake, this is the recipe for you. And it’s perfect for your holiday table! I can’t take credit for the frosting. I stole it from Ina Garten and want to make sure she gets full credit for it. I wanted a buttercream frosting, but I can see this cake being equally delicious with a chocolate ganache. Lesson Learned 1 – The batter will be thin: I am used to a somewhat thicker batter and so I was surprised that this batter was thin, almost runny. Don’t let that worry you. Just bake it until the top is set and a toothpick inserted in the center comes out clean, about 25-30 minutes. 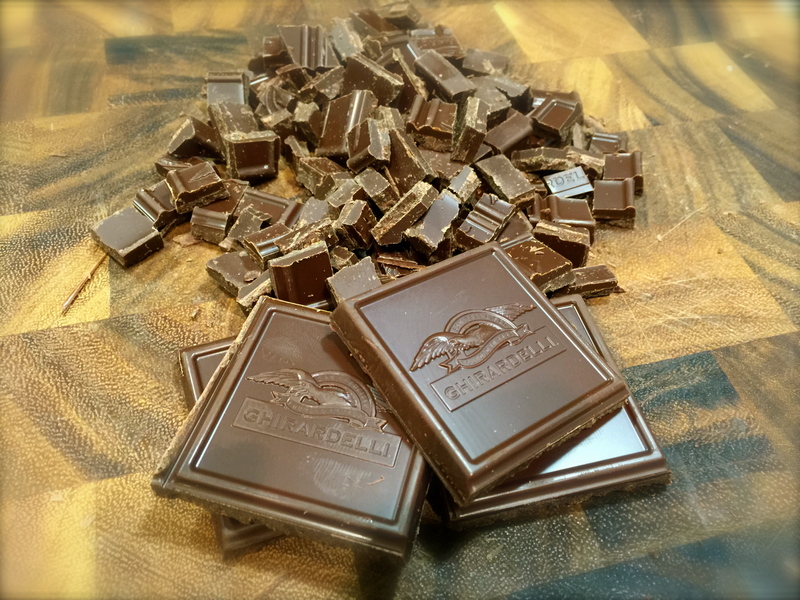 Lesson Learned 2 – Using coffee to enhance the flavor of chocolate: I found out that just a little bit of coffee added to a chocolate recipe really enhances the flavor of the chocolate. Whether it be brewed coffee, espresso powder or instant coffee granules, using coffee as an ingredient kicks up the chocolatey flavor in baking. This recipe calls for 1/2 cup of brewed coffee. Just make sure that coffee is either just slightly warm or room temperature. If you add hot coffee to the batter you’ll scramble the egg and you don’t want to do that. Lesson Learned 3 – Baking with cocoa powder: I don’t know about you but my cocoa powder always seems to have big lumps in it making it difficult to get a smooth batter once it is incorporated This time I sifted the cocoa powder before adding it in and that did the trick. It was a lot easier to get a smooth batter. Lesson Learned 4 – Thoughts on buttercream frosting: As I mentioned earlier, I used Ina Garten’s recipe for the frosting. Ina always says the better the ingredients you use, the better the flavor. It’s so true. If you use this particular frosting recipe, make sure you use good quality semi-sweet chocolate. I used Ghirardelli chocolate in the frosting. The frosting was divine. Also, keep in mind that the main ingredient in buttercream frosting is butter. When you make it, the frosting will be soft and smooth. If you choose to refrigerate the frosted cake, the frosting will get harder, just like butter does when it’s put back into the refrigerator. And since there is so much butter in the frosting you’re going to want to refrigerate anything that doesn’t get eaten immediately. So, if you’re planning on serving cake that has been stored in the refrigerator, you can take it out and let the frosting soften up a little. Or you can serve the frosting cold. The frosting is so good it’s delicious either way. This recipe would make great cupcakes as well. 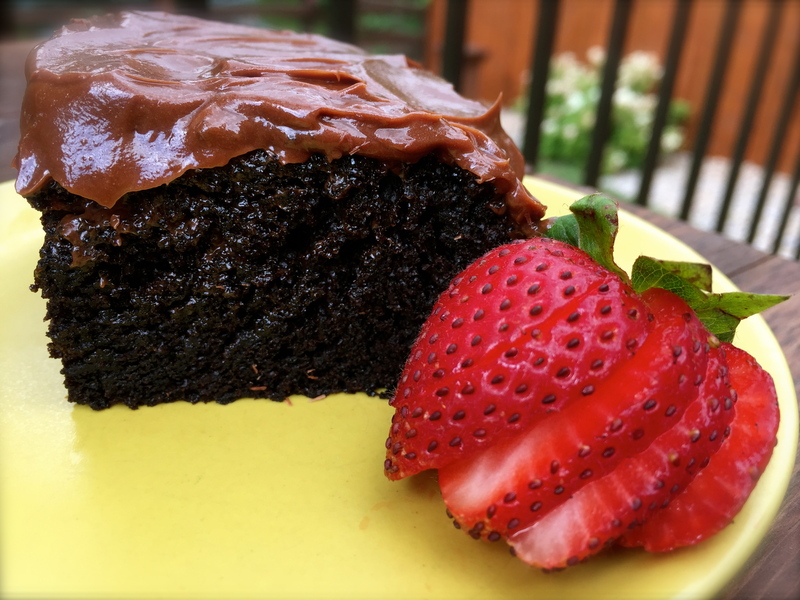 You’ll never make a more moist or chocolatey cake. 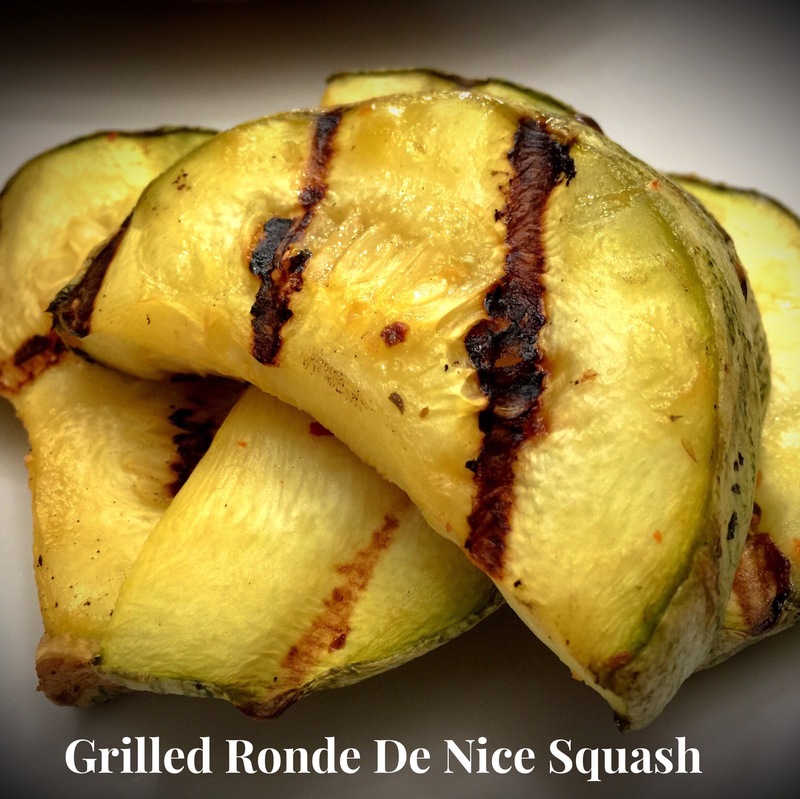 Try this recipe and see what you think. Enjoy! Preheat oven to 350. Grease and flour a 9 x 9 baking pan and set aside. In a large bowl combine egg, sugar, yogurt and vanilla. Whisk until smooth and combined. Sift the cocoa powder and add it in along with the brewed coffee. Whisk until smooth and free from lumps. In a separate bowl, whisk together the flour, baking soda, baking powder and salt. Combine with the wet ingredients and whisk together until fully incorporated. Pour the batter into the prepared pan. Bake for 25-30 minutes or until a toothpick inserted in the center comes out clean. Let cake cool completely before frosting. 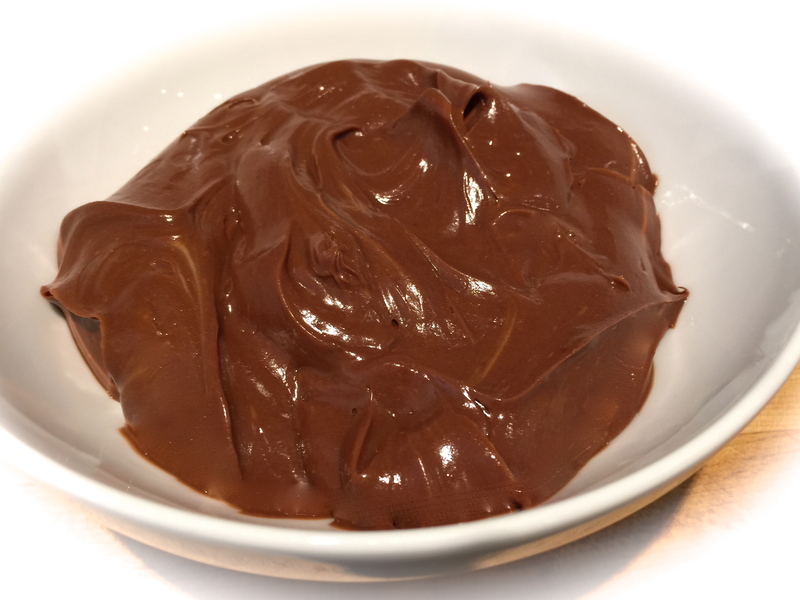 For the frosting: In a microwave safe bowl, heat the chocolate on high power in 30 minute intervals, stirring until the chocolate is melted. (The chocolate will probably come out of the microwave with a few softened pieces still intact, but stirring will get them to melt. You want to be careful not to overheat the chocolate, so make sure you try to make the stirring complete the process.) Set aside to cool a little. In a stand mixer with a paddle attachment beat the butter until smooth and fluffy. Add the egg yolk and vanilla and beat for an additional minute. (Make sure to scrape down the sides of the bowl.) Add the confectioners sugar and slowly beat until combined. In a small bowl dissolve the instant coffee granules in the hot water. Slowly beat the coffee and chocolate into the butter mixture. I’ve just been loving how plentiful the strawberries are this year. And the quality of them has been outstanding. I love to bake with strawberries, but they can be tricky. Strawberries, like blueberries, have what I call the exploding factor. They explode moisture during the baking process. So, if you use too many of them or if they overly ripe you cake will fall it on itself. After a few disasters I’ve learned out to outsmart the pesky fruit and now I bake with them quite frequently. 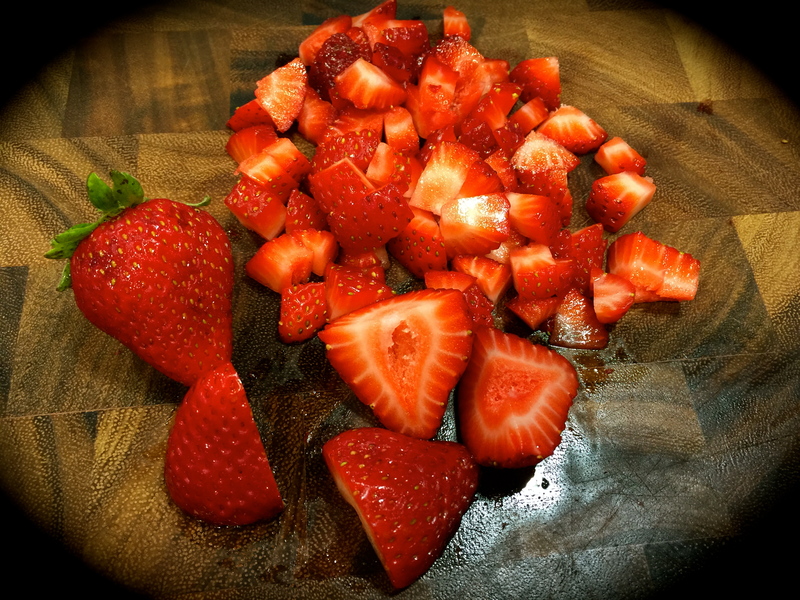 Lesson Learned 1 – Ripe strawberries are not the best for baking: Because of the exploding factor I alluded to above, ripe strawberries are not the best to bake with simply because they hold more water. In baking it’s really best to use strawberries that are only somewhat ripe. That way they release less moisture, your cake will not fall in on itself and you’ll still get that great strawberry flavor. But if your strawberries are ripe, simply use less of them. Cut them in small pieces and discard any piece that may be overly soft. When I made this recipe my strawberries were pretty ripe so I only used about 8 ounces in the cake. If you have less ripe strawberries you can use as much as 12 ounces. And don’t use frozen strawberries with this recipe. If you do, you can be sure your cake will be a gooey mess. Lesson Learned 2 – Make sure your cake is completely cool before icing it: I don’t know about you but I’m always in a hurry to put the icing on the cake. I rationalize that if it’s only slightly warm it will be ok. Wrong – o! Even if the cake is slightly warm, the icing will melt into the cake. Now that’s not necessarily a bad thing, but if you want your icing visible be patient and wait until the cake has cooled. The cake will taste great and you will be awarded visually as well! I took this cake to work and the slices were gone in less than one half hour. This is a very moist and flavorful cake. Try it and let me know what you think. Preheat oven to 375 degrees. Grease and flour a 12 cup Bundt pan. Set aside. Zest and juice the lemons. Set aside. Whisk together the flour, baking soda and salt. Using a stand mixer, beat together the butter and sugar until light and fluffy, about five minutes. Add the eggs one at a time until each is thoroughly incorporated. Add the lemon juice and zest and beat for another minute. Add the dry ingredients and yogurt to the mixture, starting out and ending with the dry ingredients. Mix until just combined. (Scrape the sides of the bowl and under the beater blade to make sure everything has been combined). Gently fold in the strawberries. Pour into the prepared ban. Reduce the heat in the oven to 325 and bake for 60 minutes or until a toothpick inserted in the center comes out clean. Remove from oven and allow to cool for 20 minutes. Remove the cake from the Bundt pan and cool completely on a wire rack. Combine the powdered sugar, lemon juice and zest. Drizzle over the cooled cake. Sometimes you just want something quick and easy. This is that kind of recipe. I don’t know about you but there are days when I just don’t want to drag out all the paraphernalia in order to make something that looks and tastes good. This particular recipe requires no stand mixer, food processor, or blender. Just a bowl for the dry and wet ingredients and a small pan to melt butter. 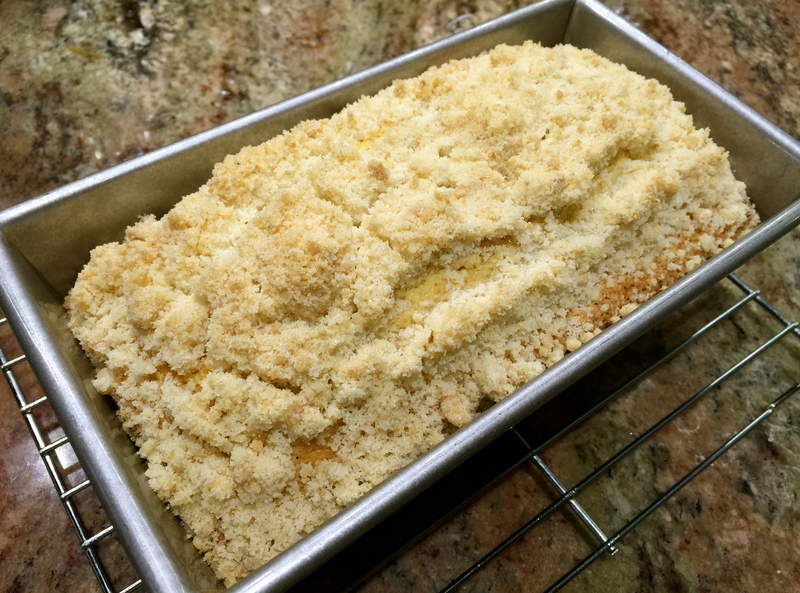 Lesson Learned 1 – The crumb topping: Only three ingredients make the topping – flour sugar and melted butter. I found the best result for making the topping is to add 1 additional tablespoon of flour to the 1/3 cup called for in the recipe. That way you get a nice crumble without the mixture being too moist. The crumb topping is easy to do. Just melt the butter and combine it with the flour and sugar. If the mixture looks too dry, add a tiny bit more melted butter. 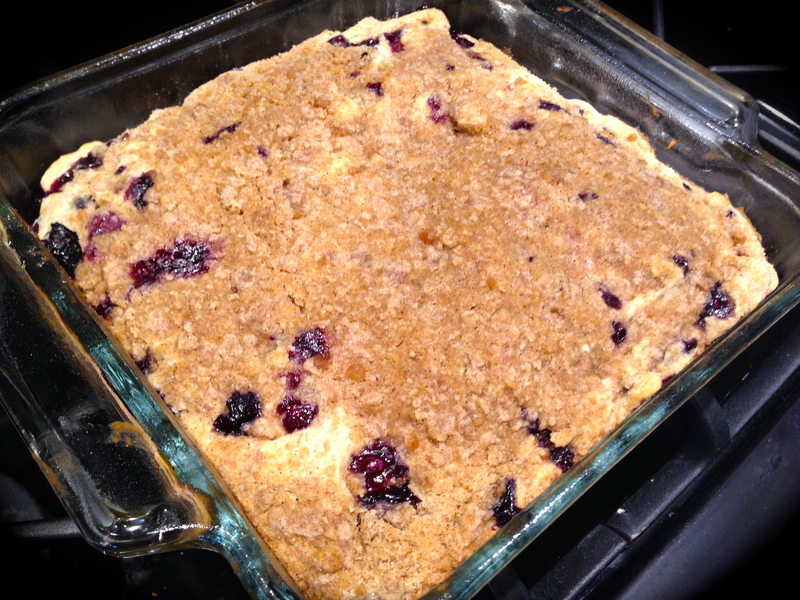 Make sure nothing is dry in the crumble. The picture here shows the perfect consistency. 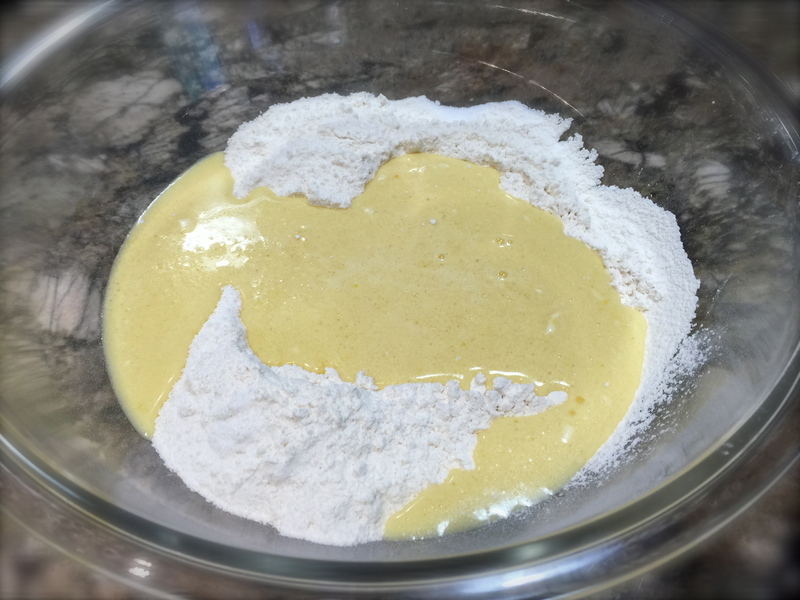 Lesson Learned 2 – Mixing wet and dry ingredients: The rule of thumb when making a batter you mix by hand is to add the wet ingredients to the dry ingredients. Make a well in the center of the dry ingredients and pour in the wet ingredients. Take a wooden spoon or a spoon/spatula and mix until just combined. Make sure to check at the bottom center of the bowl – that’s were unincorporated ingredients tend to hang out. Once everything is combined, STOP. Over mixing will create a tough cake. Lesson Learned 3 – Watch the time on this cake carefully: Ok, I’ll admit it – I had to make this cake twice to get it right. This cake, depending on your oven and what part of the country you live in, can bake from 50 minutes to 1 hour and 10 minutes. And let me tell you, it can go from moist to dry rather quickly. So keep an eye on it. I use a professional grade loaf pan and so my cake baked in 50 minutes. The time you need will depend on your oven and the bakeware you use. Keep an eye on it starting at 50 minutes. Preheat oven to 350 degrees. Lightly grease and flour the bottom and sides of an 8 x 4 loaf pan (if using a nonstick pan you only need to prepare the bottom of the pan). In a small bowl mix together topping ingredients making sure all the flour is coated with the melted butter. Set aside. In a large bowl, sift together the flour, baking powder and salt. In another bowl whisk together the eggs, evaporated milk, oil and lemon zest. Pour the egg mixture into the flour mixture and stir until just combined. Pour the batter into the prepared loaf pan. Sprinkle the top evenly with the crumb mixture. Bake for 50 minutes to 1 hour 10 minutes or until a toothpick inserted in the center comes out clean. Check the cake at 50 minutes. You do not want to over bake this cake. Cool the cake for 15 minutes in the loaf pan. Remove from loaf pan and let cool completely on a wire rack. The glaze is optional. The cake is delicious with or without the glaze. I haven’t made a bundt cake in a long, long time. Every time I think of a bundt cake, I remember the scene from “My Big Fat Greek Wedding” when the Millers bring a bundt cake to the Portocalus family dinner and Toula’s mother Maria doesn’t have a clue what “bundt” means. That was some pretty funny stuff. 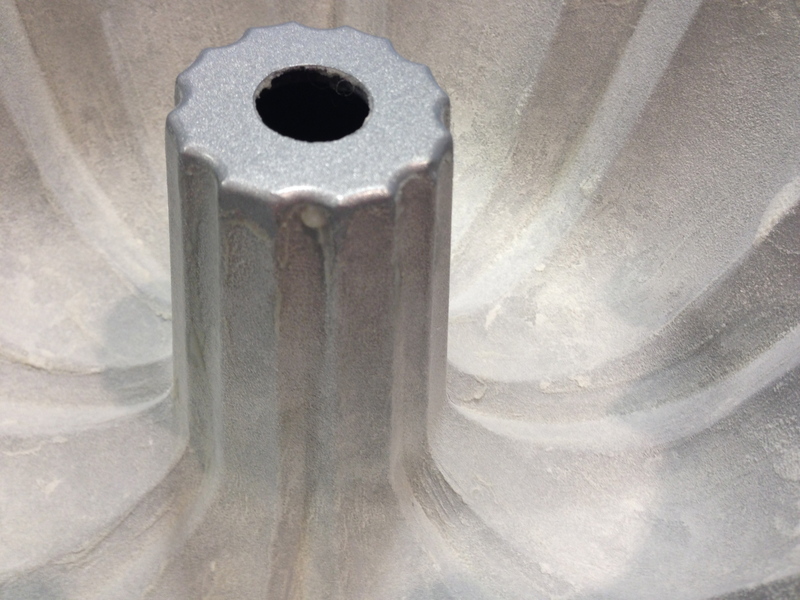 What I like about bundt cake molds are their artistry. They give a professional look to any recipe with very little effort. In recent years they’ve gotten fancy with bundt molds, from rose designs to vertical swirls, to picture cut outs that can define the top of the cake. I personally prefer the traditional bundt mold as its designed to allow glaze to fall down the sides of the cake in beautiful uniformity. With the newer molds if you glaze them you basically cover up the design. So all you can put on them and still see the design is powdered sugar. Dusting a cake with powdered sugar is fine, but I like to have a couple of options for decorating rather than being held to just one. 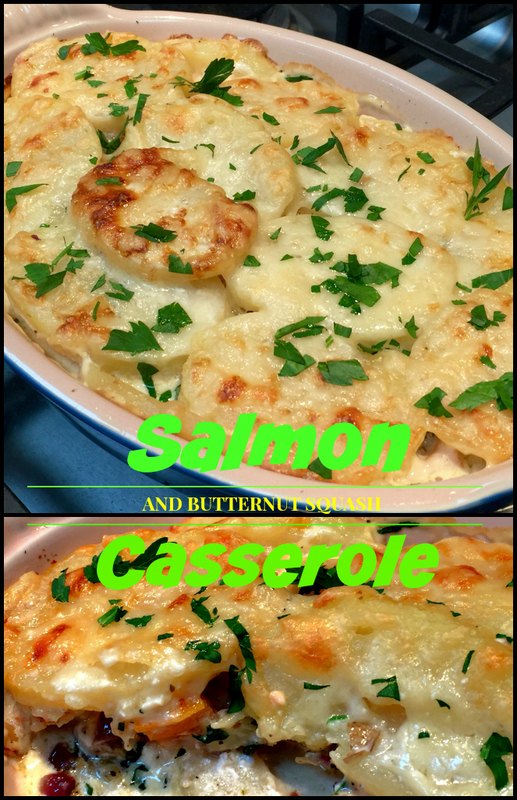 This recipe is adapted from one I found on Pinterest. I had to adapt it to high altitude (and I’ll include both sea level and high altitude instructions). 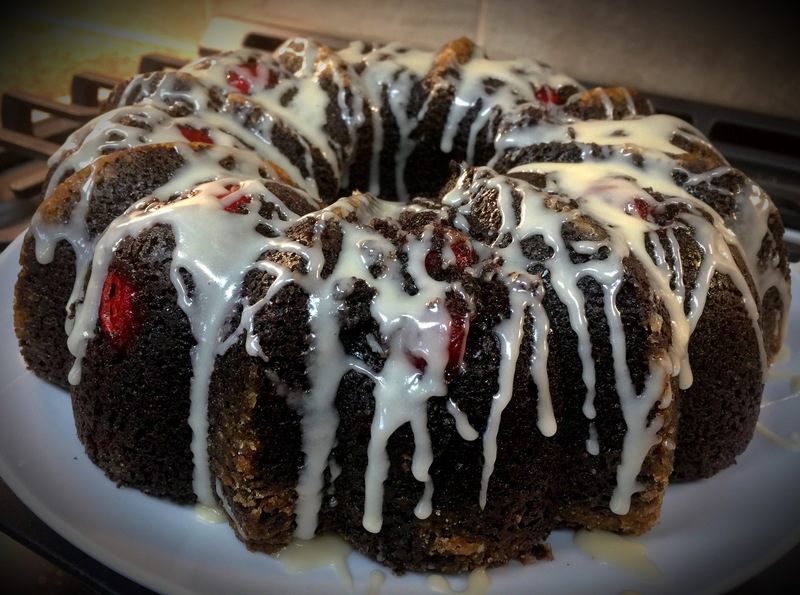 I also used frozen cherries instead of fresh (as cherries are not in season yet) and will explain what I discovered about doing that in my lessons learned. I have to admit I was surprised at how beautiful the cake turned out. I haven’t made a bundt cake in a long time. But I will definitely be making more in the future. Try this one, I think you will really enjoy it! Lesson Learned 1 – What to think about when using frozen fruit: I’ve used frozen fruit before in recipes and normally if they’re smaller in size, like blueberries, I add them frozen. That way you don’t have to mix them with flour to ensure they will evenly distribute throughout the batter. 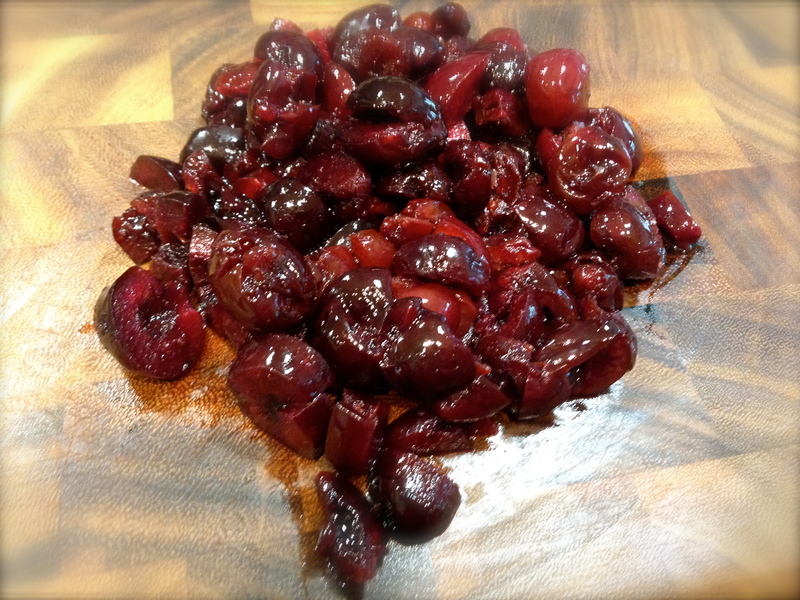 But this particular recipe originally called for fresh cherries pitted and diced. Cherries are not in season now so all I had to work with were frozen ones. If you use frozen cherries, dice thaw and drain them first. Otherwise you will have huge pieces in the cake. Make sure you drain them well as they give off a lot of moisture. I would do this about an hour or so before making the cake to ensure you are getting out as much moisture as possible before putting them into the batter. Dice them while they are frozen and let them drain after that. It worked great as you can see by the pictures. 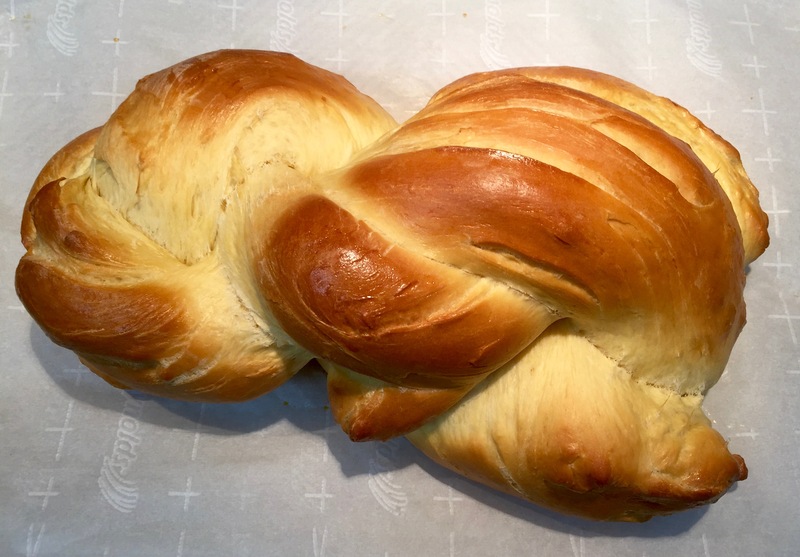 Lesson Learned 2 – Adapting for high altitude: This may not apply to many of you, but living in an area over 5,000 feet I’ve learned a few tricks, out of necessity, to make sure baked goods turn out as intended. In high altitude the air pressure is lower. The lower pressure causes baked goods to rise more easily and liquids to evaporate more quickly. If adjustments are not made to recipes, cakes can turn out dry or fall in on themselves due to the cell walls of the cake stretching (due to the lower pressure) until they burst. I can tell you from experience, I’ve had many, many disasters related to baking in high altitude. In high altitude, flour acts as a strengthener in cakes. So I normally use only high altitude flour and add 1 – 2 tablespoons of additional flour per cup. In this recipe I only had to use 2 additional tablespoons of flour total. Sugars and fats act as tenderizers and need to be slightly reduced in recipes. Normally I reduce sugar by 1 – 2 tablespoons per cup, which I did in this case. And I always use extra large to jumbo sized eggs as they add strength to the batter. Sounds complicated I know, but once you’re faced with doing it on a regular basis you get use to it and to the point where you can eyeball a good batter consistency. This particular cake turned out beautifully by adding 2 additional tablespoons of flour and reducing the sugar by 2 tablespoons per cup. Lesson Learned 3 – The importance of greasing and flouring the bundt pan: Take the time needed to thoroughly grease and flour the bundt pan. This is a little more time consuming than it might look as there are more nooks and crannies than you may think. But take the time, make sure every area is well coated with grease (I used unsalted vegetable shortening), wipe away the excess and flour the bottom, walls and inside flute completely (as seen in the picture). Once I finished I took the pan and held it about an inch over my butcher block and dropped it. I repeated this process a couple of times. By doing this I was able to dislodge and discard any large amounts of flour remaining resulting in a nice even coating of shortening and flour. The cake dislodged beautifully (and easily) as you can see. This is a very important step so don’t skimp on this process. Lesson Learned 4 – Using heavy cream in a glaze: Many glaze recipes are made with milk, water or juice. I like to add some heavy cream to the glaze. I find it gives the glaze a richer consistency. With this glaze I used 2 tablespoons of heavy cream and 2 tablespoons of milk. That may sound like a lot, but the heavy cream does not dilute the sugar in the same way as milk. I needed to add a little more milk the get the consistency I desired. Start out by using only 1 tablespoon of milk and check the consistency of the glaze before you add more. I was so pleased with how this cake turned out. It not only tasted good but looked like it had been made by a professional baker. So if you want a great cake and want to impress your friends as well, this is definitely the one to make! Preheat the oven to 325 degrees. 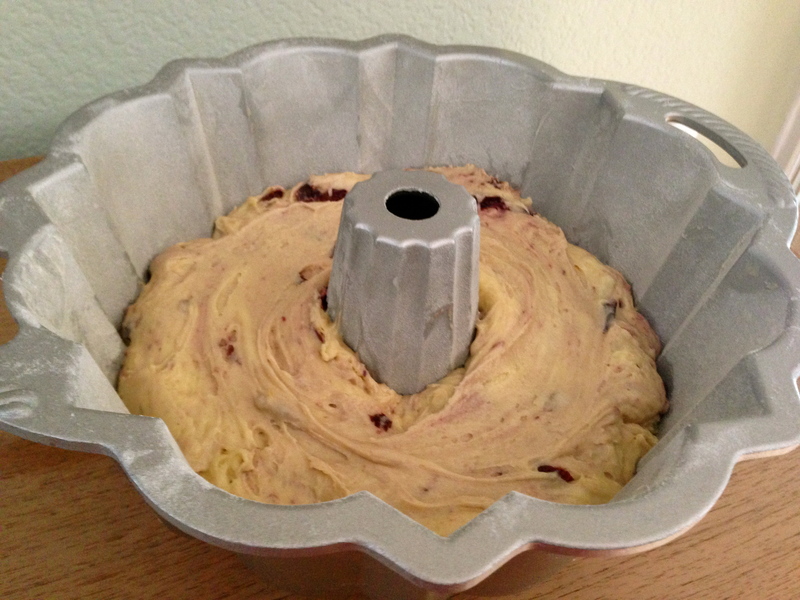 Generously grease and flour a 10-12 cup bundt cake pan. Set aside. Sift together 2 1/2 cup flour, baking soda and salt. Using a stand mixer beat together the butter and sugar until creamy. Add eggs one at a time and incorporate completely. Beat in the vanilla. Alternate adding the flour and yogurt to the butter mixture, starting and ending with adding flour. Do not over mix. 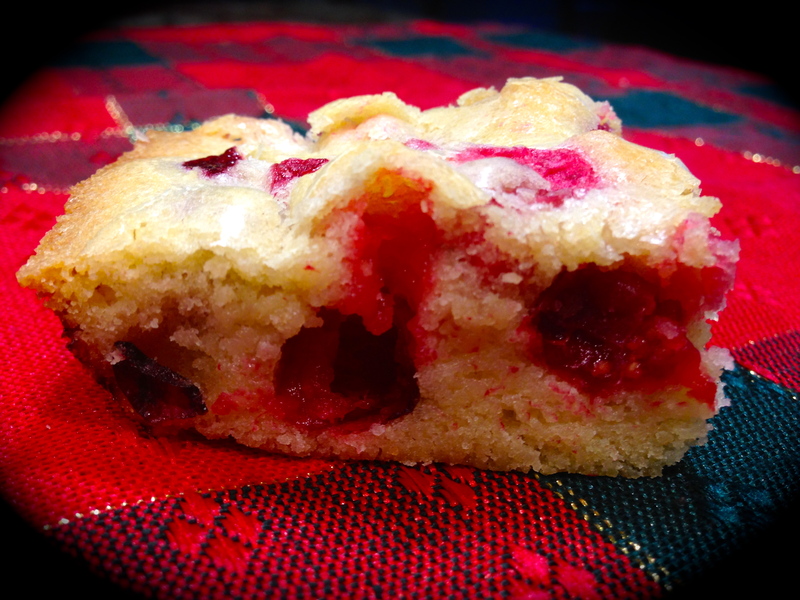 Take cherries and toss with 1/4 cup flour. 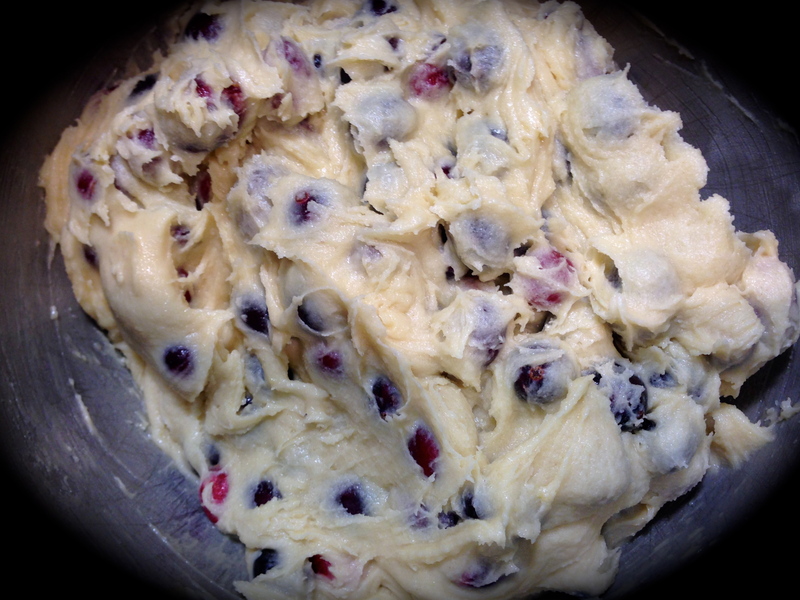 Gently fold the cherries into the cake batter until evenly distributed. 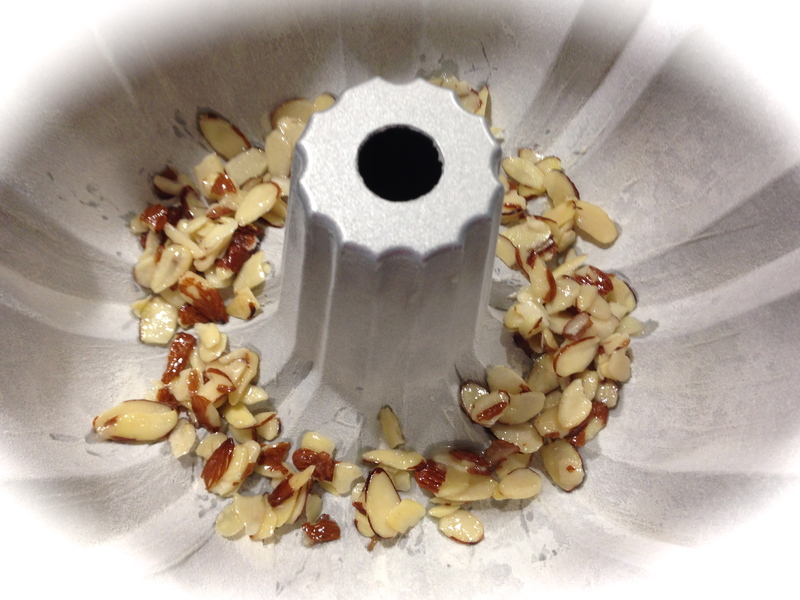 In another small bowl, stir together the almonds, sugar and melted butter. Scatter this mixture evenly on the bottom of the bundt pan. Pour the cake batter over the almond mixture dispersing it evenly in the pan. Bake for 60 minutes or until a toothpick inserted in the center of the cake comes out clean. Cool the cake for 15 minutes. Transfer the cake to a wire rack and cool completely. Mix together the glaze ingredients until smooth and drizzle the glaze over the top of the cake. I know we still have three weeks until Thanksgiving, but I am already testing some recipes for the holidays. 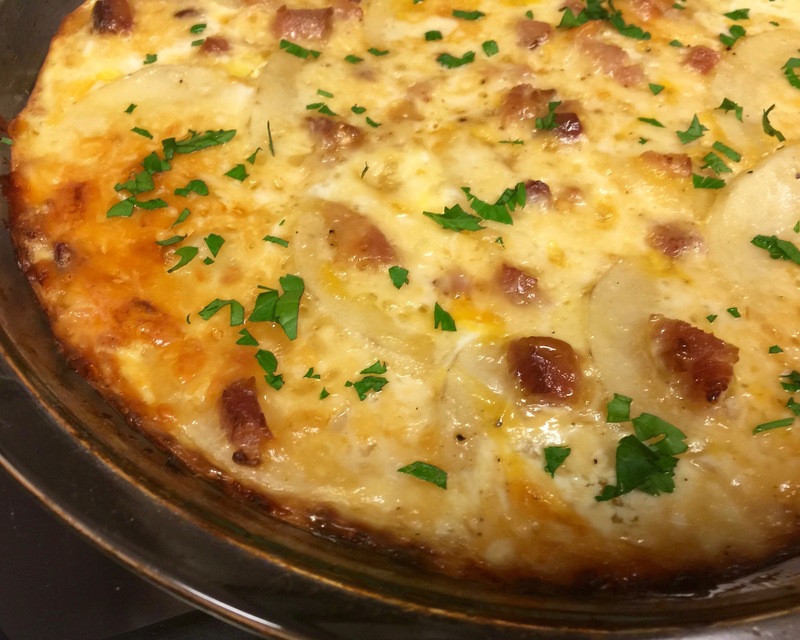 I was intrigued by t his one because it only has 6 ingredients and the most labor intensive part of making it is beating the eggs and sugar for 5-7 minutes. I can handle that. 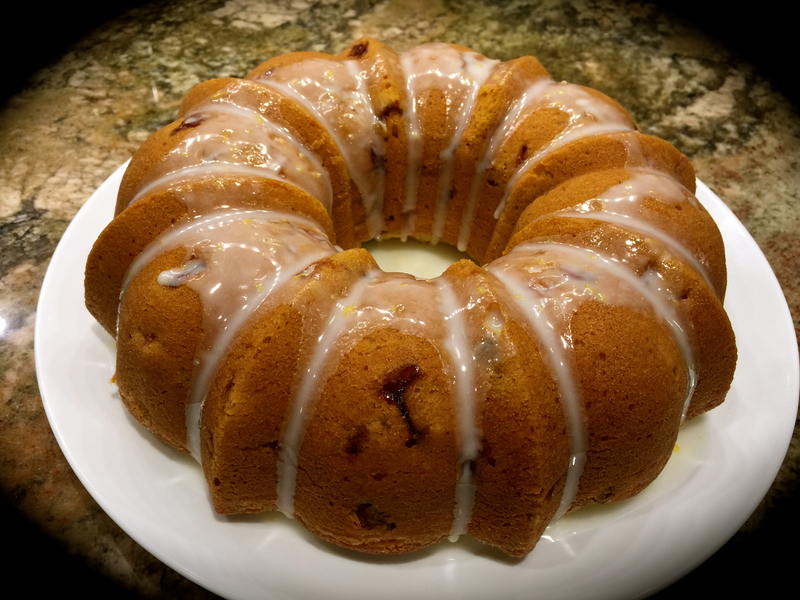 Plus the cake uses one of my all-time favorite holiday ingredients, cranberries. 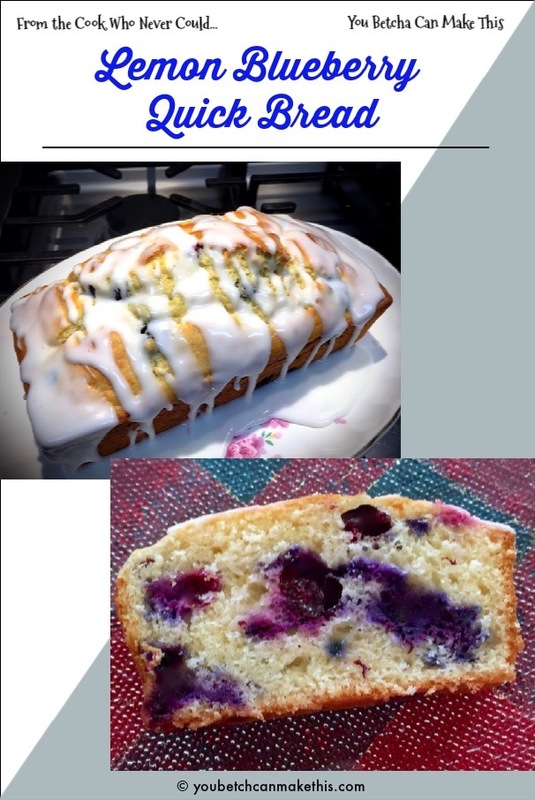 This recipe is perfect for the novice baker who may not have confidence in the kitchen but wants to make a lasting impression with his/her confection creating skills. You can’t fail with this one, trust me! 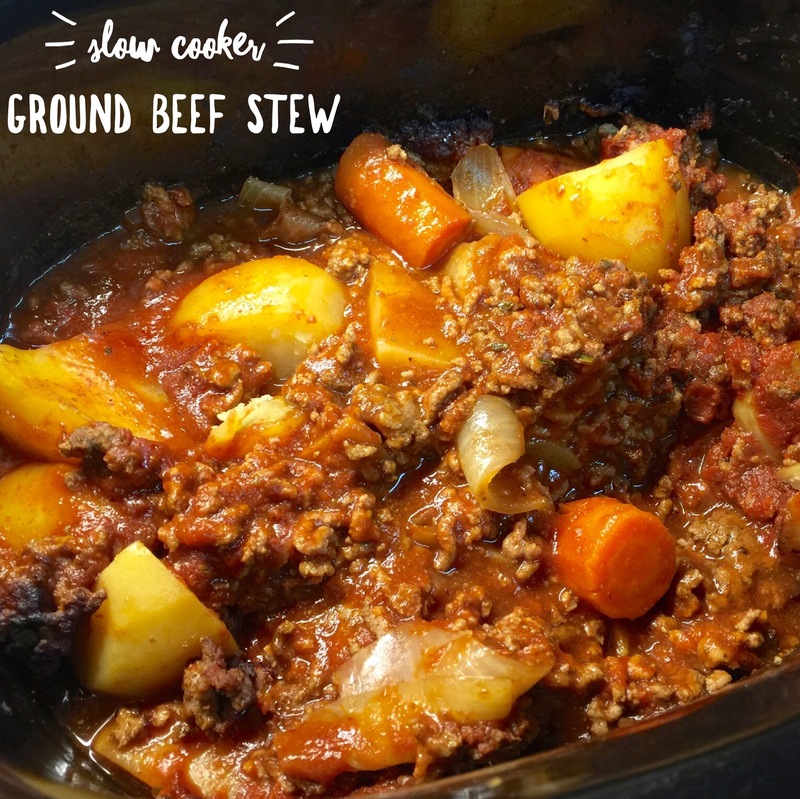 Recipe Rating: A+ This recipe is so easy to make and so delicious. 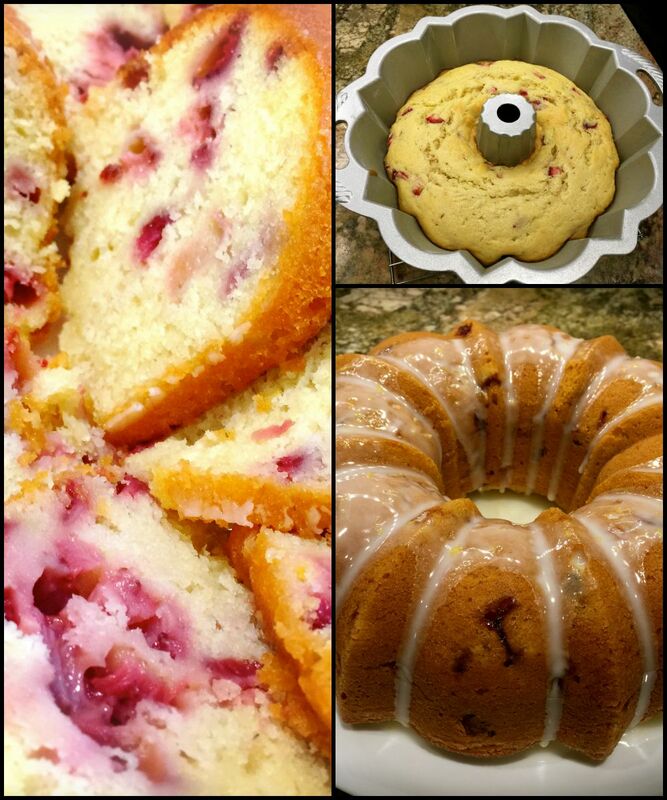 It reminds me of a cranberry coffee cake. I actually was going to take the entire 9 x 13 pan with me to work, but my husband wouldn’t hear of it. He suggested that I only take such a small portion of it that I decided just to keep the whole cake at home. Needless to say, half of it was gone in the first day and I didn’t have one bite. It must have been those darn Christmas elves raiding the kitchen again! Lesson Learned 1- Beat the sugar and eggs for 5-7 minutes: Don’t skimp on the time – this step is very important. You will notice that there are no “traditional” leavening agents in the ingredients. In this recipe the eggs act as the leavening agent so it is important to beat them with the sugar for a long time. I actually thought I got the desired consistency at about 6 minutes but I let the mixer run for an additional minute just to make sure. The mixture should actually double in size and form ribbons when you lift the paddle out of it. Lesson Learned 2 – Weighing the flour: One cup of flour is 125 grams. I have taken to weighing flour in my baking as I’ve found that I use too much when I don’t, even if I aerate it before I scoop it out. If you don’t have a kitchen scale just make sure you at least aerate the flour before you scoop it. Flour can compact when it settles and if you don’t weigh or aerate it you will wind up using far too much resulting in a tough cake. For this recipe I used the high altitude trick of adding two additional tablespoons of flour to the called-for amount. The batter baked perfectly. If you are not at high altitude, don’t add the additional flour. Lesson Learned 3 – The batter will be thick: The consistency of the batter will be quite thick making it slightly challenging to spread evenly throughout the 9 x 13 pan. Once you’ve spread it, take the pan over a hard surface (I used my wooden butcher block for this – if you don’t have a wooden surface you should consider using a dishtowel over another hard surface to soften the impact so as not to crack your dish) and lift it up about a half inch (not any more – you don’t want to break the pan) and drop it. Do this a couple of times. This will help the batter settle and even out any areas that you may have missed. Lesson Learned 4 – Dust the cranberries with a little bit of flour: Even though this cake isn’t very thick, you still want to dust the cranberries with a little bit of flour before putting them in the batter. Doing this helps the berries to distribute evenly in the baking process versus all of them falling to the very bottom. 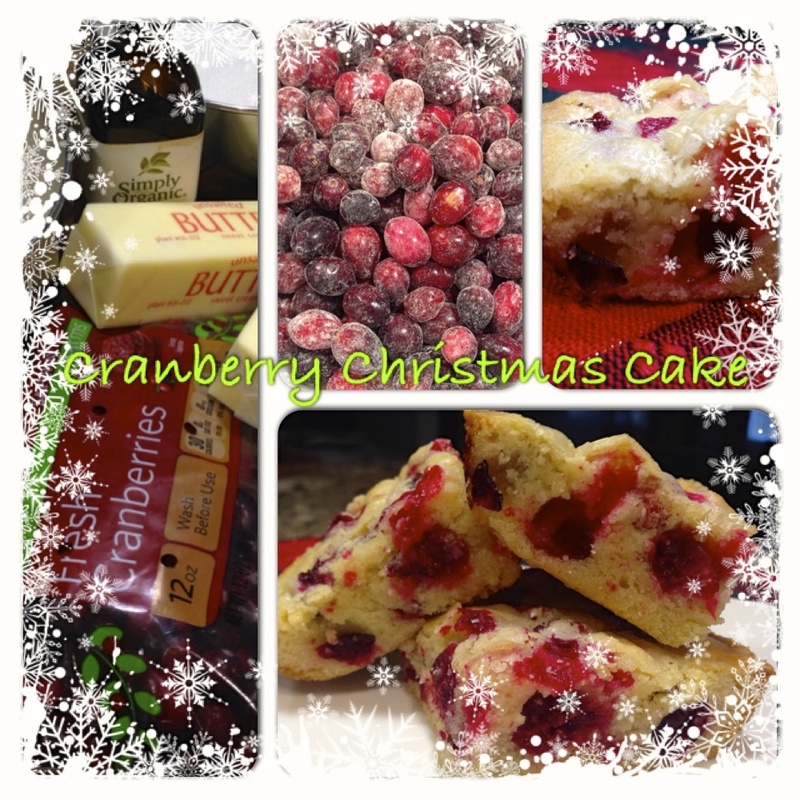 Just take about a tablespoon of flour and put it on top of the cranberries. Then with your hands mix the flour throughout. You will wind up with some flour on the bottom of the bowl. No need to add that into the cake. Just make sure all the cranberries have a light dusting. If you use frozen cranberries you can skip this step. Just don’t thaw them before adding them to the batter. In my estimation this is the perfect holiday recipe. Not only does it exude the colors of the season it is so simple to make. You don’t even have to cut up the cranberries. The longest part of the preparation is beating the eggs and sugar. And with little effort you get a delightfully delicious cake. You can certainly make this any time during the year, but for me this one screams Christmas. ‘Tis the season! Enjoy. Preheat the oven to 350. With a mixer beat the eggs and sugar for 5-7 minutes until slightly thickened and light in color. (the mixture should almost double in size). Add the butter and vanilla and mix for another 2 minutes. (It is important to try to get the butter to blend as smoothly as possible. 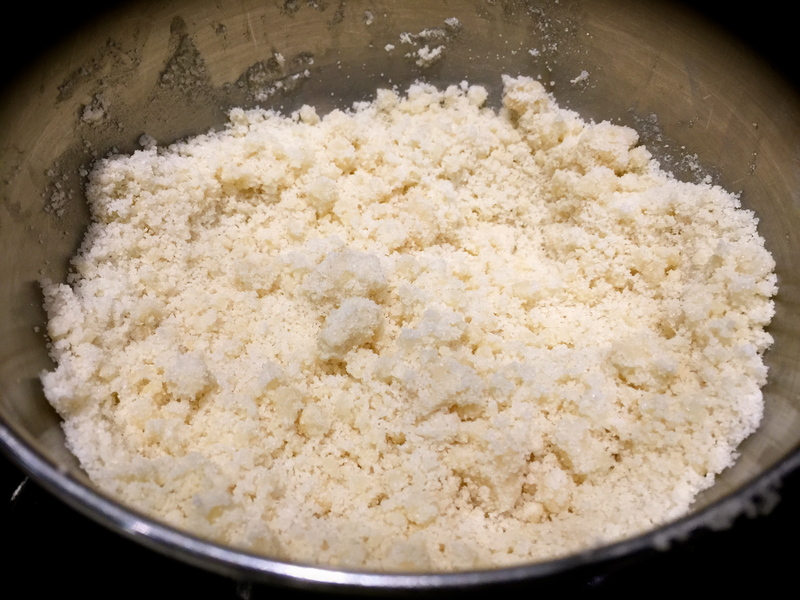 There may be some very small lumps and that is ok but beat out the large ones (this is why it is so important to have the butter completely softened before doing this part of the process). By hand, stir in the flour until just combined. 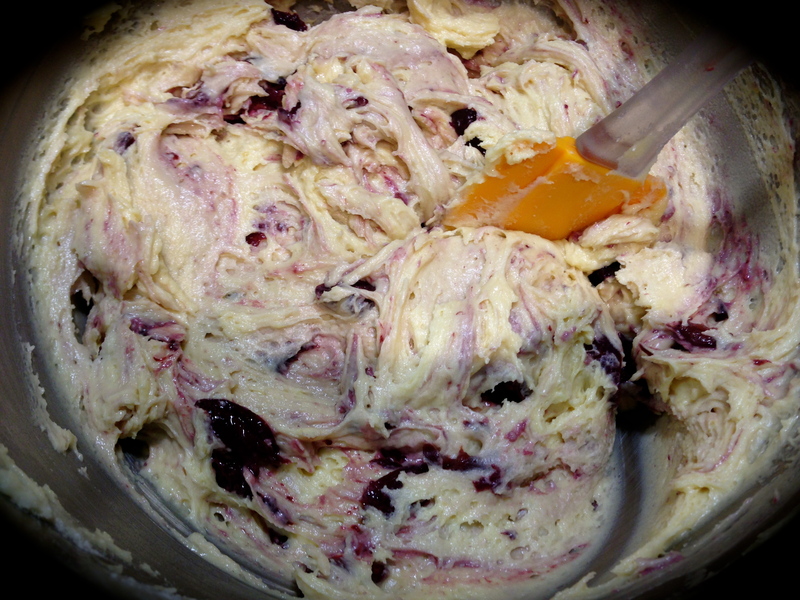 Add the cranberries and stir until they are dispersed throughout the batter. Spray a 9 x 13 pan with baking spray. Spread the batter into the prepared pan. Bake for 40-50 minutes or until a toothpick inserted in the center comes out clean and the cake is lightly browned. Cool completely before slicing. Well, apple season is just about over for me. By that I mean I am no longer getting bags and bags of apples from my neighbor. All in all it’s been a great season. During it I finally made a decent apple pie, ventured into making my first batch of homemade applesauce, and had fun experimenting with some different apple desserts. 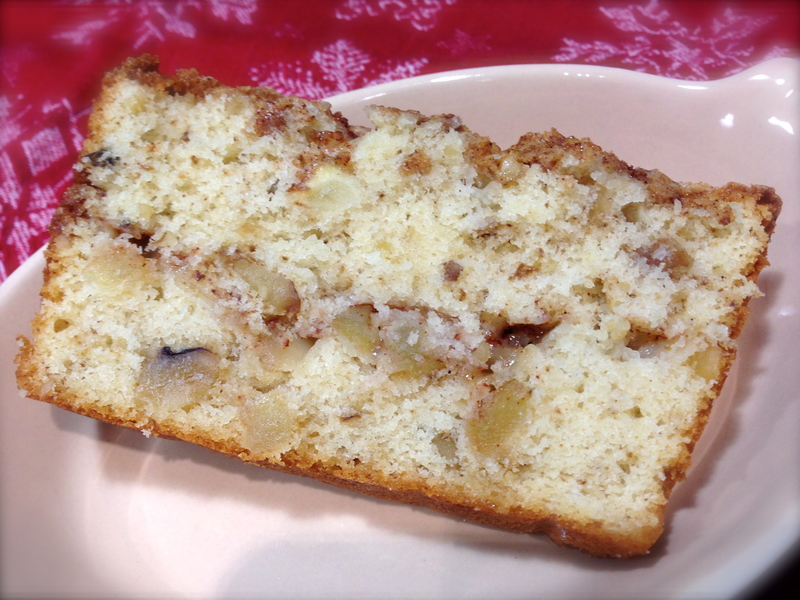 My final apple recipe for the season is an apple walnut cake. 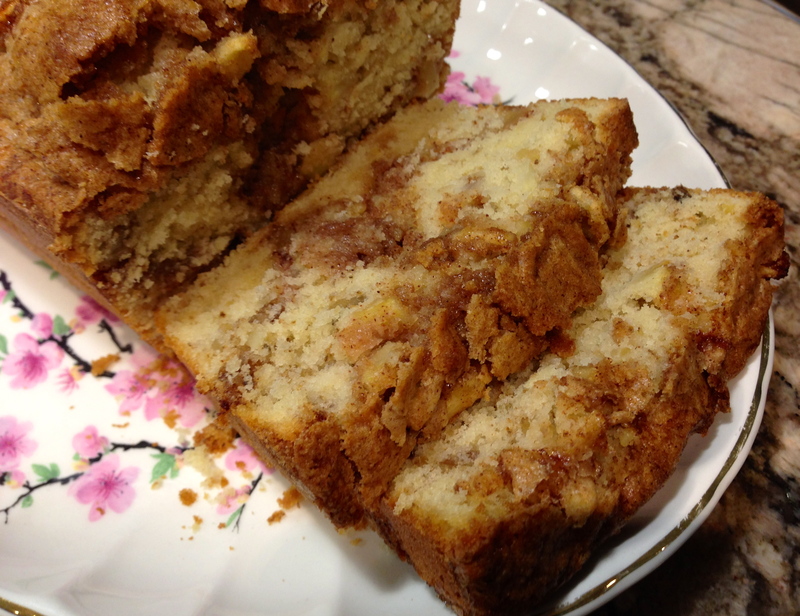 I found a basic recipe that I edited for my tastes and wound up with a delightful loaf cake. Recipe rating: A- This is a very flavorful cake. I gave it a minus because I had to adjust the baking time to two times longer than what was called for in the original recipe. I read some of the reviews of the original recipe online and decided, as one person mentioned, to bake this in an 8×4 versus a 9×5 pan. There was no mention that doing this significantly changed the baking time. The person writing the review said she wanted a more compact loaf that would give taller slices. That’s what I wanted as well. The only other adjustments I made was adding some additional cinnamon and some walnuts. I was really surprised that it took so long to bake (an hour). Just keep that in mind if you decide to make this. Is it worth the baking time? Definitely, yes! Lesson Learned 1- Cut the apples into small chunks: This recipe calls for only one apple so make sure you either get a decent sized one or you can use two small apples. 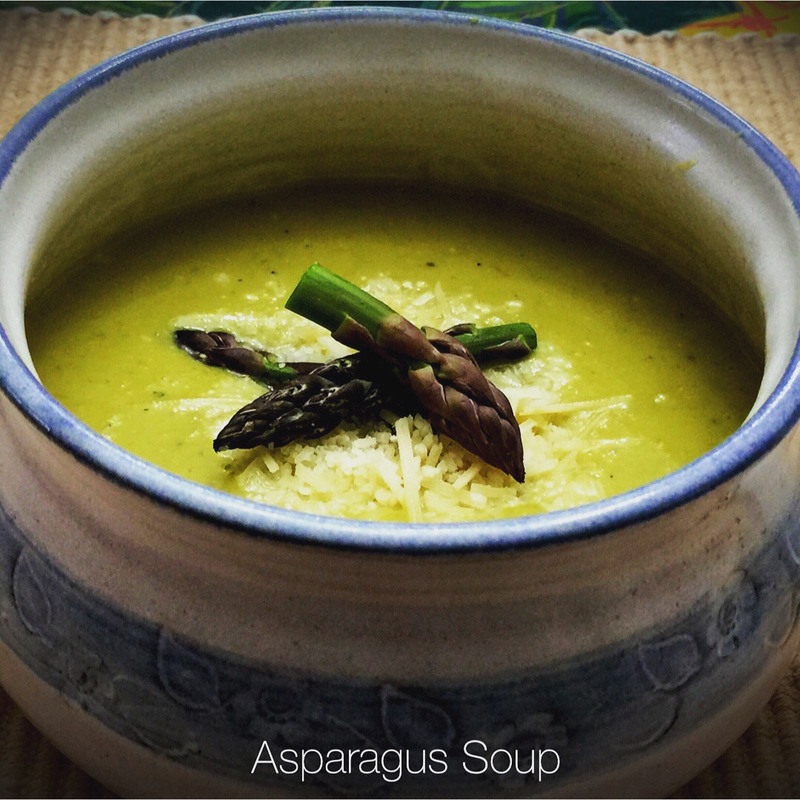 I used a medium/large granny smith apple when making this recipe and I had more than enough. You want to cut the apple into small chunks so they will cook completely. I drizzled a little bit of lemon juice over my apple chunks to keep them from turning brown before I could add them to the cake batter. Lesson Learned 2 – Get down and dirty when you swirl the batter: The process for making this recipe is similar to any boxed sweet bread you buy, that being you add half the mixture to the bottom of the pan, add the apples and brown sugar mixture, add the rest of the batter and put the remaining apple and brown sugar mixture on top. Then you’re supposed to either swirl the batter with a knife or your finger. Forget the knife – it will not do the trick. Stick your finger (clean of course) down deep into the batter and really swirl it around. The apples require a little elbow grease to move them. I have struggled with this swirling technique with many cakes and finally using my finger, going deep into the batter and using a little bit of strength I finally got the results I wanted. Don’t waste your time with a knife. Use your finger and don’t be afraid to really get down into the batter and swirl it. Lesson Learned 3 – Don’t be afraid to adjust the amount of cinnamon: I really like the flavor of apples and cinnamon and I really like the cinnamon flavor to be pronounced. The original recipe called for 1 teaspoon of cinnamon. I used two and it tasted divine. You wind up swirling the cinnamon and brown sugar through the cake at the end. I just don’t think 1 teaspoon is enough to get a nice blend of cinnamon throughout the entire cake. 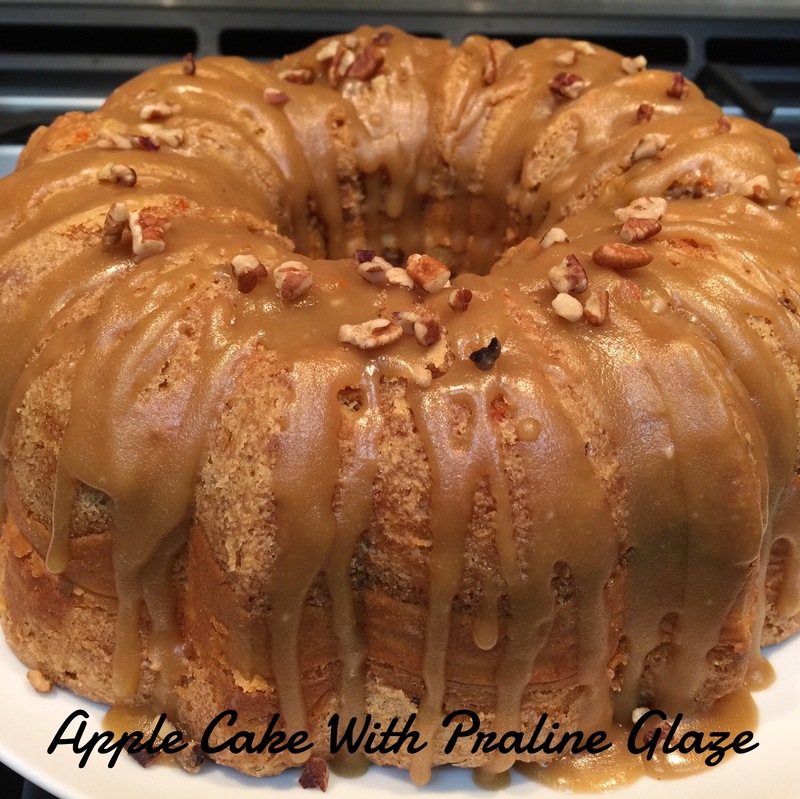 This is another great Fall apple recipe. 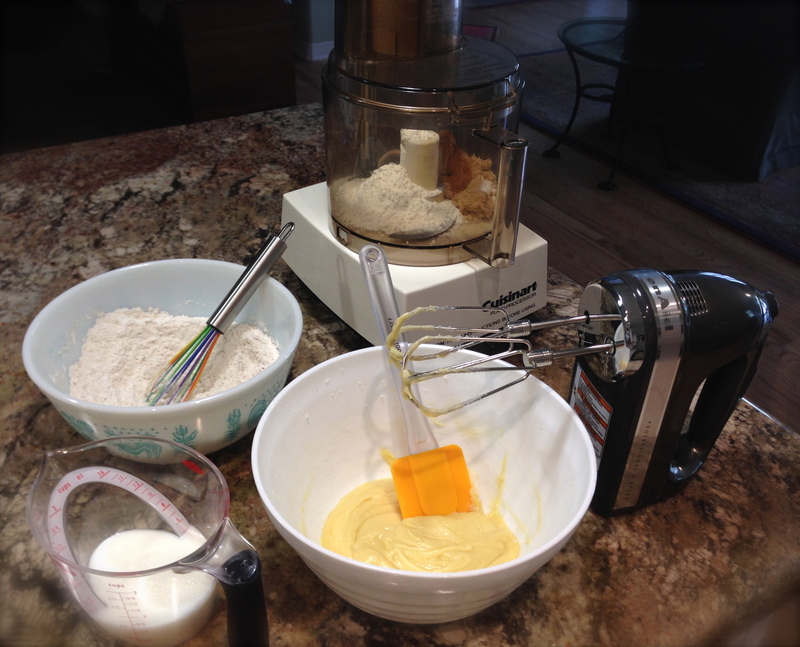 It is very easy to mix – just be aware that it may take longer to bake then anticipated. As with any other cake, it is done when a toothpick inserted in the center comes out clean. Enjoy this one! Preheat oven to 350. Grease and flour an 8 x 4 loaf pan. (If using a professional grade non-stick pan like I do there is no need to do this). Mix brown sugar and cinnamon and set aside. Peel and core the apple. Chop into small pieces. Drizzle pieces with a small amount of lemon juice and stir to make sure all pieces are coated. Set aside. Beat sugar and butter together until creamy. Beat in the eggs one at a time. Beat in vanilla extract. Sift together flour and baking powder. Stir into butter mixture. Add the milk and mix until the batter is smooth. Stir in the chopped walnuts. Pour half the batter into the prepared pan. Put half of the apple pieces on top and pat them into the batter. Sprinkle with half of the brown sugar mixture. Pour in the remaining batter and top with the rest of the apples and brown sugar mixture. Using your finger, swirl the apples and brown sugar mixture throughout the batter making sure to go deep into the pan. Bake for 50-60 minutes or until a toothpick inserted in the center of the cake comes out clean. The other day I opened my front door and lo and behold a bag of apples magically appeared on my porch. My neighbor across the street has apple trees in his backyard and was nice enough to share a bag of them with us. I had no idea what type of apples they were but when I tasted one I knew it would lend itself to baking. But what to make – applesauce, apple crisps, apple streusel – the possibilities were endless. 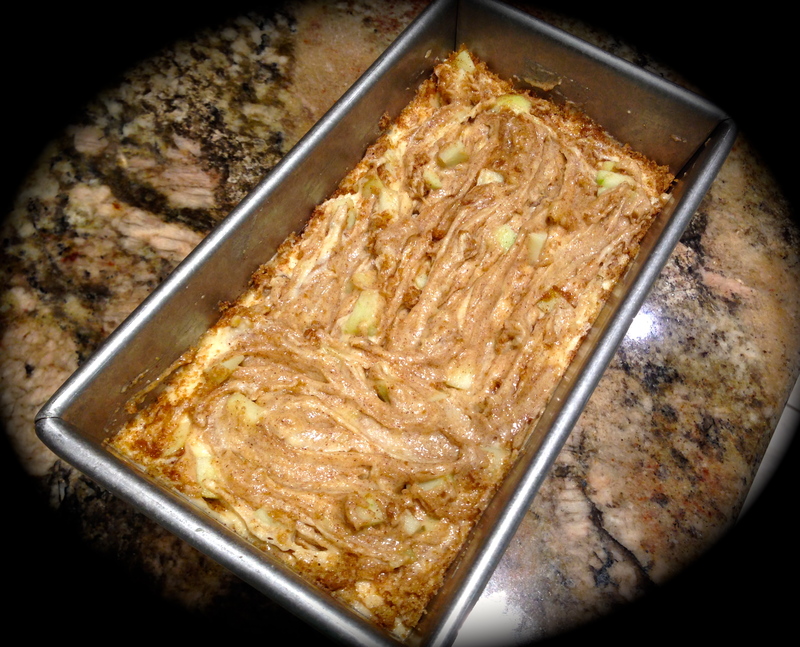 I decided to make an apple cake that is really a combination of two recipes that I found on Pinterest. One intrigued me because of the spices and the other because it included pecans. So why not just take the best out of both recipes and make a new one, right? Well, surprisingly it worked out even better than I thought it would. RECIPE RATING: A+ The cake came out great. The apples were moist but not mushy and the spices complimented the apples perfectly. The next time I make this I may add a little more cinnamon but as written it is still a fabulous cake. I took most of it to work and it was gone in less than an hour. The cream cheese frosting was a great compliment to the cake. It’s Fall, there are plenty of apples out there – so don’t wait – you’ve just got to try this one! LESSON LEARNED 1- Don’t be afraid to experiment: I say this with a caveat. Remember that baking is not like cooking. The amounts need to be relatively exact for the end result to be good. Eyeballing it is simply not recommended for baking. You must measure your ingredients. Experiment wisely. That being said, when I was searching for recipes I found two apple cake recipes that basically had the same proportions for the main ingredients (flour, sugar, oil) but had different spices. I decided to used the main ingredients from one (it used two eggs instead of three) and I also added the spices from the other (cinnamon and allspice). One of the recipes only had vanilla as a spice and I just could not imagine baking apples without cinnamon and allspice. So I borrowed the spices from one recipe and incorporated it into the other while eliminating the vanilla (although I imagine you could put that in as well). It worked like a charm. LESSON LEARNED 2 – Cut the apples into small pieces: I learned this lesson the hard way a few years ago. If you cut the pieces too big they won’t cook and the cake won’t taste as good. Cut them into nice small pieces and they will cook beautifully, moist but not mushy, within the allotted time. Also, make sure you peel the apples. Tough apple peels in a cake just don’t cut it in my estimation. LESSON LEARNED 3: Use lemon juice to keep your apples from turning brown: This recipe calls for three cups of diced apples which takes a little time to prepare. During that time if you don’t sprinkle them with some lemon juice they will begin to turn brown. 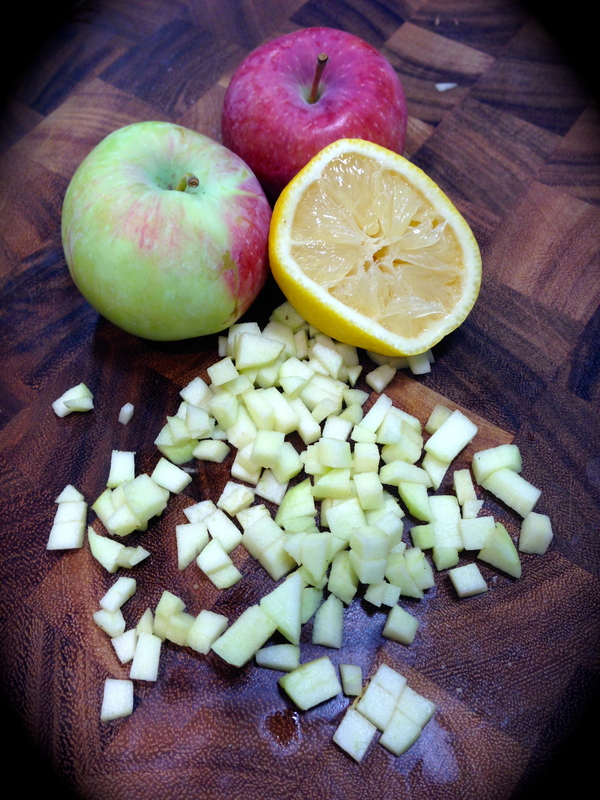 In order to avoid that take either some fresh or bottled lemon juice and sprinkle it sparingly on top of the apples. Stir the apples so that the lemon juice is incorporated thoroughly. You may have to do this process a couple of times because of the amount of apples but you need just a little lemon juice to keep the apples from browning. LESSON LEARNED 4: Keep your nuts fresh by putting them in the freezer: Let’s face it nuts are expensive. Rarely do I finish a package of nuts in a recipe. I used to keep the leftover package in my pantry until the next time I needed them and then wondered why they tasted funky when I went to use them. I found out along the way that nuts have oil in them and if you don’t freeze them they will become rancid. Freezing leftover nuts makes them last much longer. And because they are frozen you don’t have to be dust them with flour in order to incorporate them throughout the batter. LESSON LEARNED 5 – The batter will be thick: I was actually surprised to see the thickness of this batter. You will need to spread it to fill a 9×13 pan. Make sure you spread it evenly and get it into all the corners. 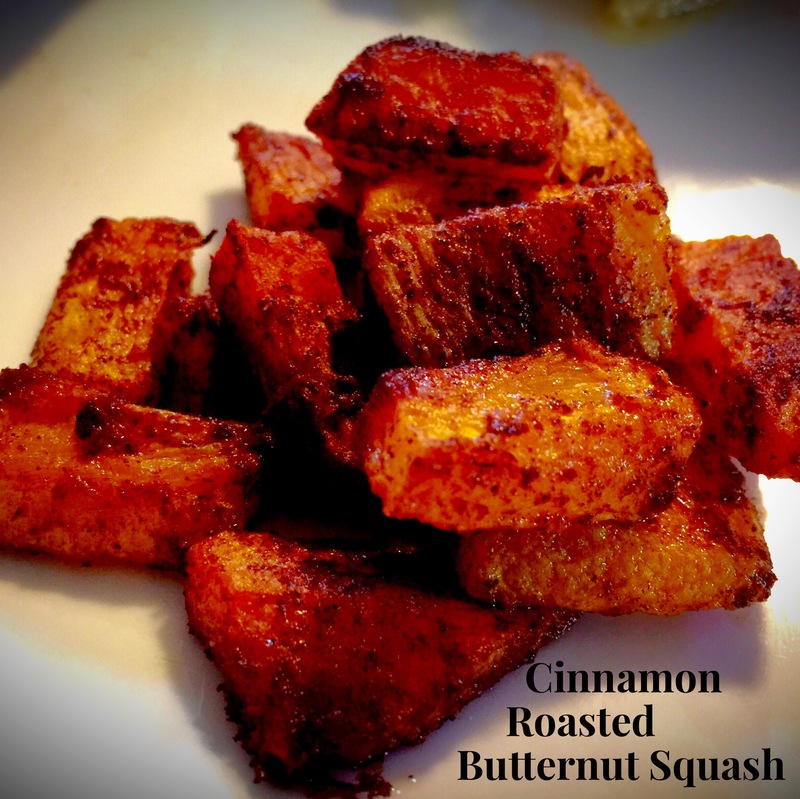 This is a perfect Fall recipe. The cake is moist and flavorful and the cream cheese frosting is to die for. One of my co-workers said that he could just eat the frosting it was that good. If you try this one I’m sure it will become a Fall staple in your home. A friend of mine also gave me a recipe for apple chips. I think I may try that as well. What is your favorite apple recipe? Preheat oven to 350 degrees. 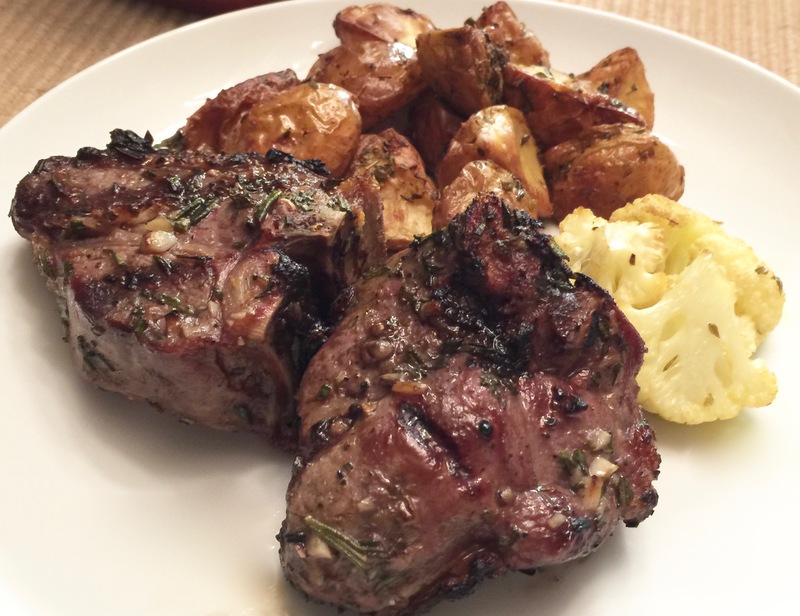 Grease a 9×13 pan (you can also use cooking spray). Peel and dice apples. Put a dash of lemon juice on them to prevent browning. Combine oil and sugar. Add eggs one at a time and mix thoroughly. Add vanilla if desired. Combine flour, baking soda, salt, cinnamon and allspice. Add dry ingredients incrementally into wet ingredients until combined. Fold in pecans and apples. Spread in prepared pan and bake for 45-50 minutes or until a toothpick inserted in the center comes out clean. Cool completely before adding frosting. (about 2 hours). For the frosting: Sift powdered sugar. Beat sugar and cream cheese until combined. Add dashes of heavy cream until you get your desired consistency. 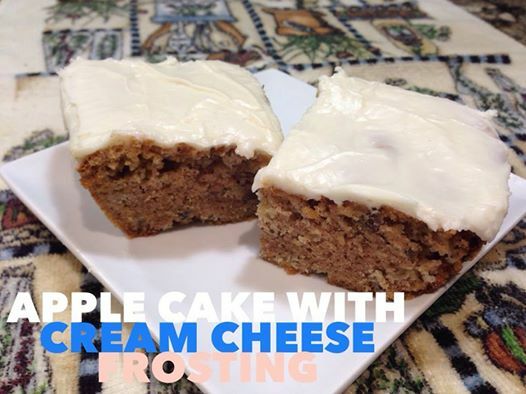 (I prefer heavy cream to milk and I feel it gives a thicker, more lush frosting). Spread on top of cake. Enjoy! August was quite a busy month with a lot of traveling and so I wasn’t able to make my goal of one new recipe a week last month. Now things have settled down a bit and I’m back in the saddle. This recipe I found on (you guessed it) Pinterest and it intrigued me especially since our local grocery store had quite the deal on fresh raspberries. The combination of lemon and raspberries is killer in my estimation and that made the choice even easier. 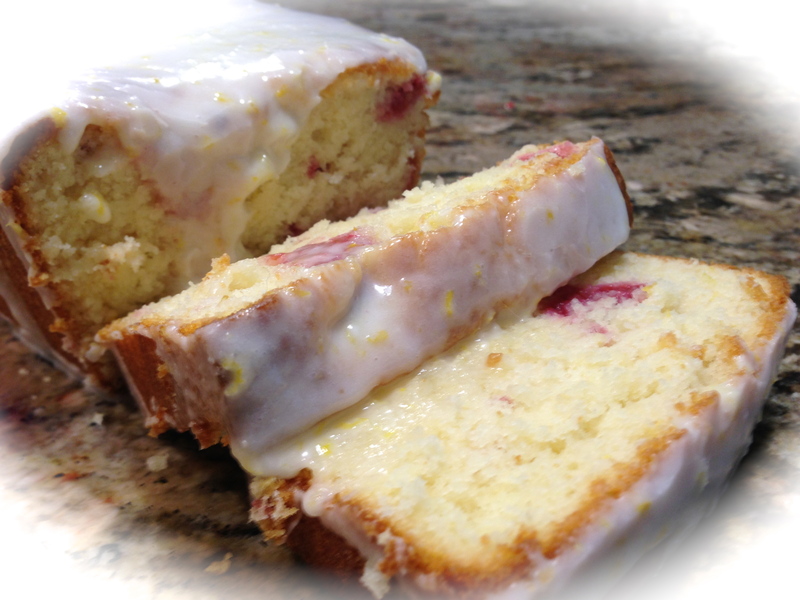 So here is my recipe rating for a lemon raspberry loaf cake and lessons I learned while making it. 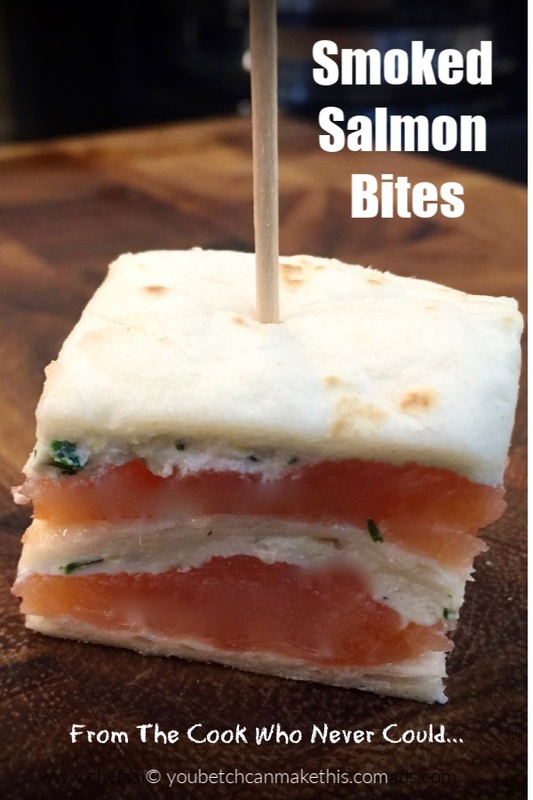 Recipe Rating – I’m conflicted so I will give it a range of B+ to A+. I know it’s a strange rating but I had to make this twice in order to get it right. The reason for the range is that I am just not sure whether the issue is how the recipe was written or the the challenges related to baking in high altitude. I will explain in my lessons learned. 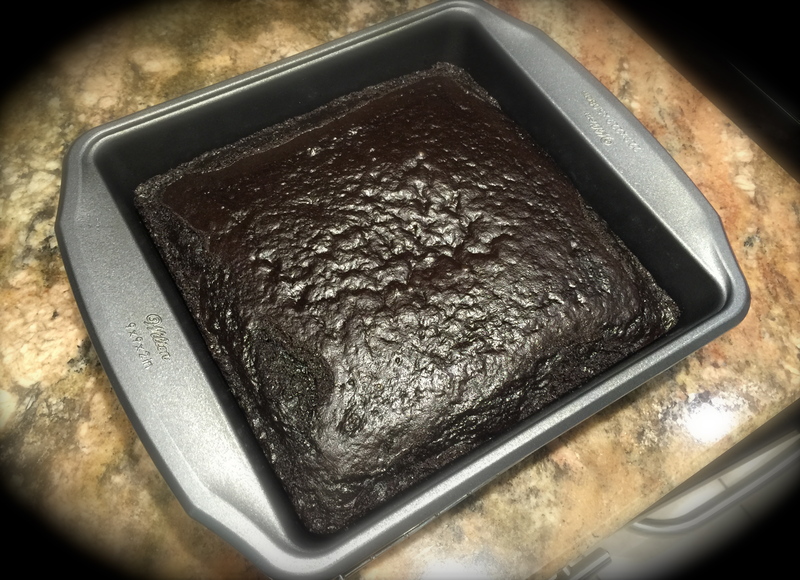 Lesson Learned 1 – The flavor of this cake is awesome! The loaf fell in on me the first time I made it but I was determined to perfect the recipe because of the flavor. The cake is super delicious and I’m not kidding. 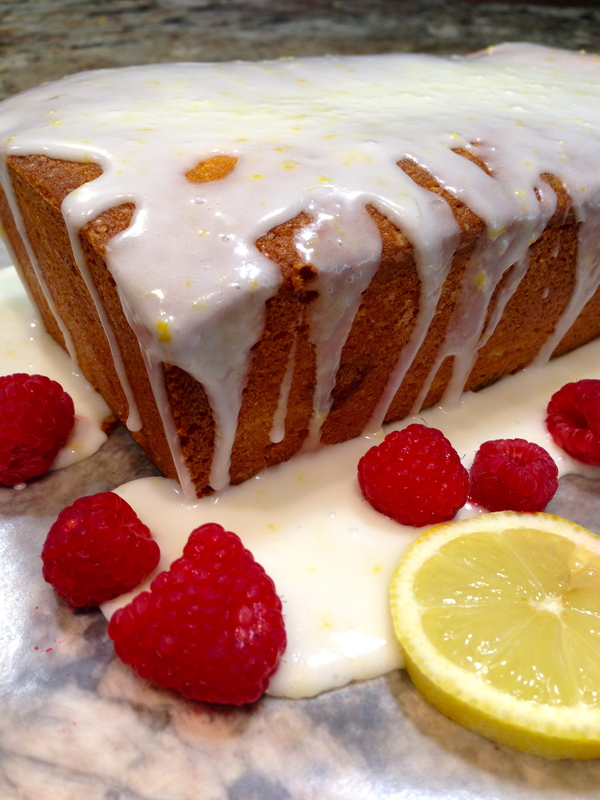 If you love the flavors of raspberries and lemon you have to try this one. It is to die for! Lesson Learned 3 – Adding some additional flour: When I use box mixes (which has become less and less these days) I always add two tablespoons of flour to adjust the mixture for high altitude. I did the same for this recipe and I think that along with adding slightly less raspberries prevented the cake from falling in. 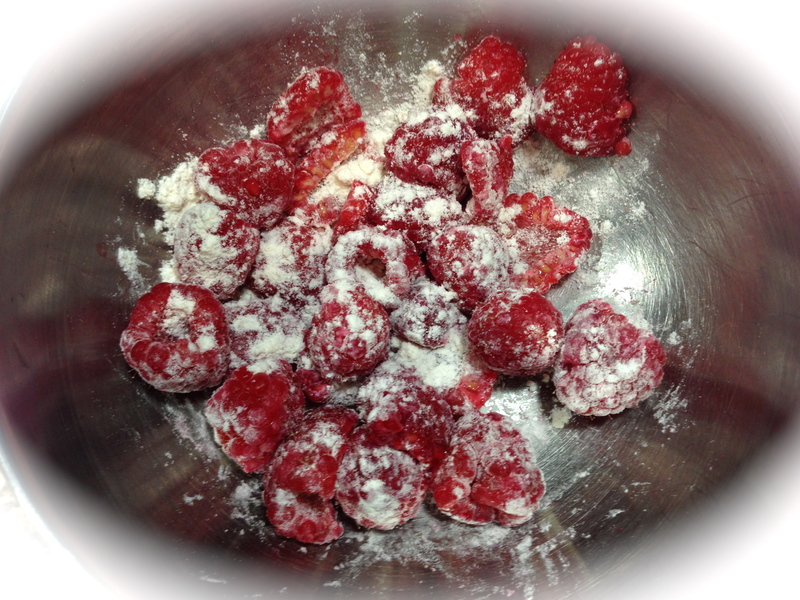 Lesson Learned 4 – Flouring the raspberries: Shame on the original recipe. It did not tell you that you have to slightly flour fresh raspberries in order for them to evenly distribute themselves in a batter. If you don’t they’ll all sink to the bottom. 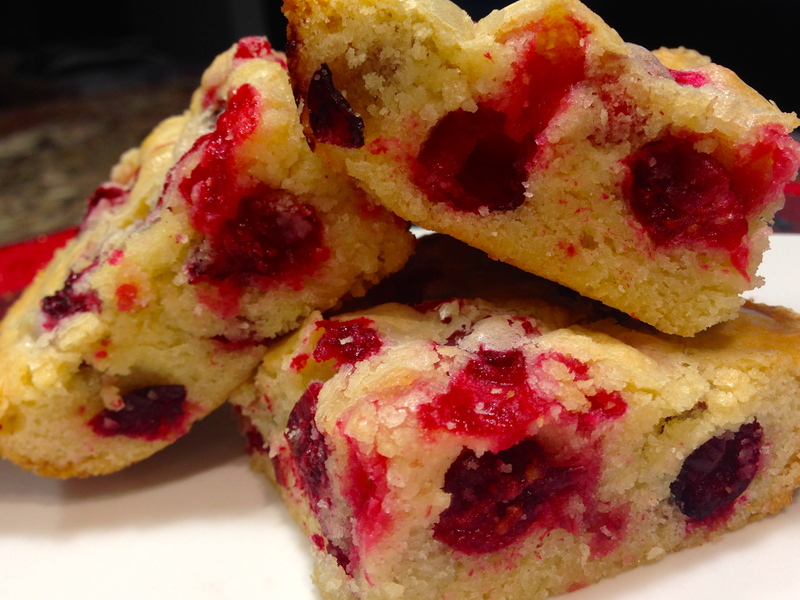 If you use frozen raspberries you don’t need to flour them, but it is a must with fresh berries. This was the only flaw in this recipe but the flavor of the cake more than made up for it. Lesson Learned 5 – Adjusting batter for the size of the loaf pan: Maybe part of my problem was that I used my 8×4 loaf pan when the original recipe called for using a 9×5 pan. I googled the adjustments and it was suggested that the 8×4 pan only have 4 cups of batter put into it a opposed to 6 cups of batter for a 9×5 pan. This recipe makes 4 cups of batter so I’m not sure the amount of the batter was an issue in this case. I definitely had to bake the loaf longer, an additional 15 minutes to be exact. The additional baking time did not hurt it and produced a nicely browned top. 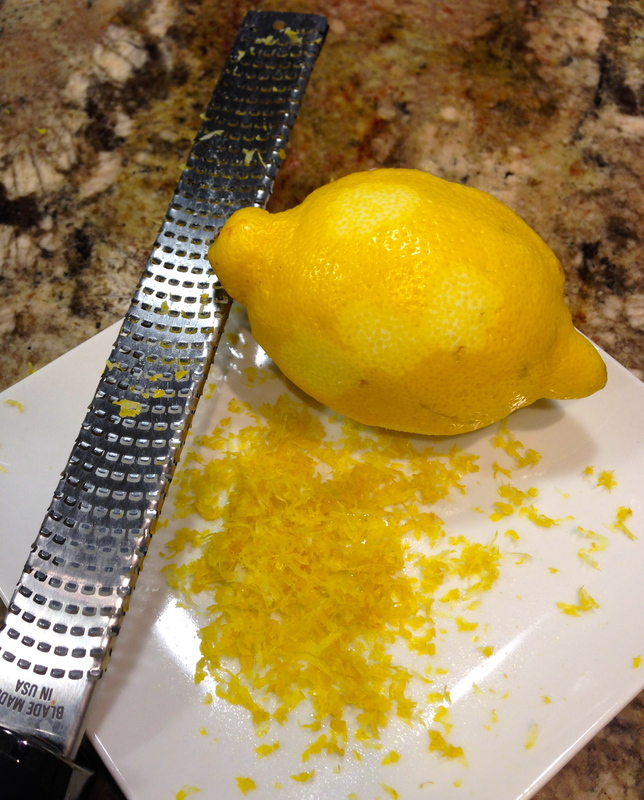 Lesson Learned 6 – The wonder of lemon zest: Zest is one of the best ways to add flavor to a recipe. Lemon zest happens to be my favorite. 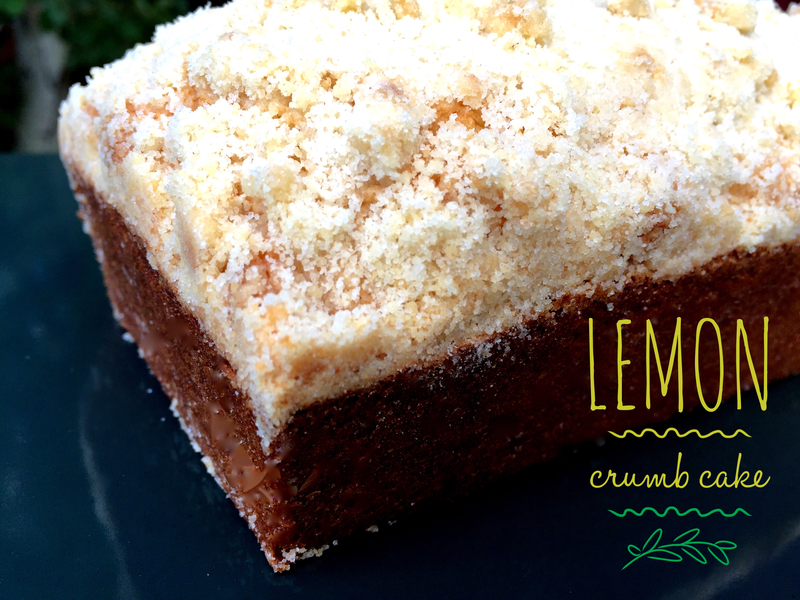 Not only does it produce a rich lemony flavor but also a great lemony smell. Just make sure you are careful not to zest the lemon down to the white part, the pith, as that will give you a sour zest. To avoid that just move your zester two or three times over an area of the rind and then move on to another yellow part of the rind. Continue until you zest the entire lemon. 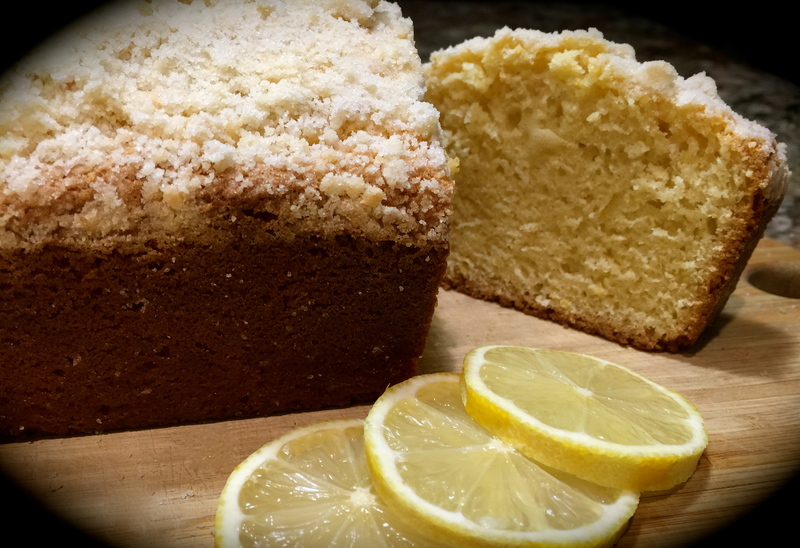 In this recipe lemon zest provides flavor not only to the cake but to the glaze as well. Lesson Learned 7 – The technique of folding: This recipe calls for folding in the greek yogurt and then gently folding in the raspberries. Folding is a technique whereby you use a large spoon (I use a wooden spoon) and gently turn over the batter from the bottom to the top, continuing that process in a circular motion until you’ve combined the ingredient(s) you need to fold into the batter. The purpose of folding is to gently combine ingredients and in some cases not to deflate the air out of an ingredient (such as a whipped cream or meringue). If you are not gentle with the raspberries they will break apart and you will wind up having a pink cake versus a white cake dotted with raspberries. 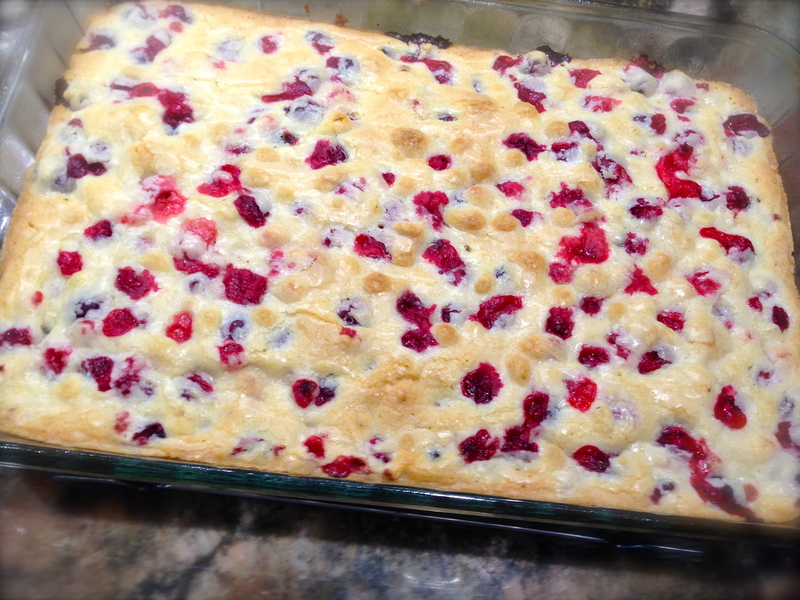 Be careful at this point not to break up the raspberries but make sure they are evenly distributed throughout the batter before pouring the batter into the baking pan. Even though this recipe took me two tries I would highly recommend it. 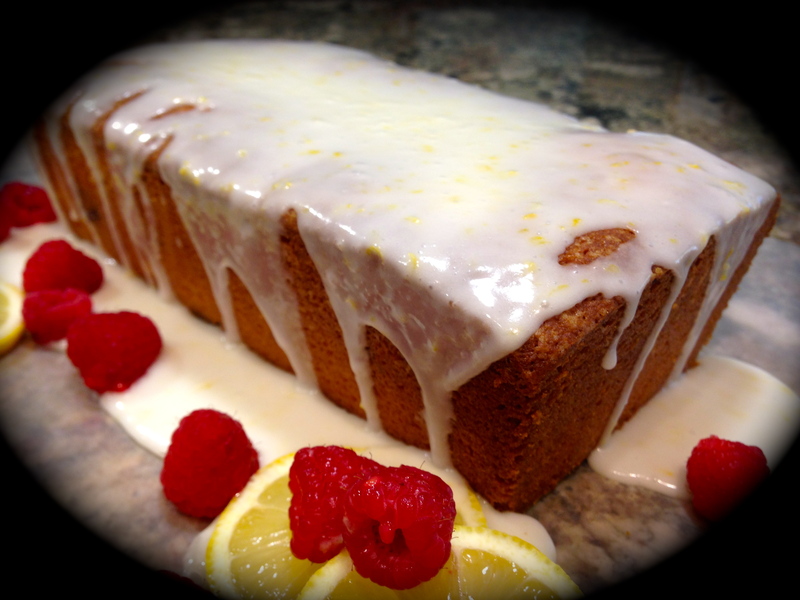 The combination of lemons and raspberries produces a fabulous flavor and the use of lemon zest in the glaze punctuates it. Just beware it may not turn out right the first time and be comfortable with that. I guarantee you, the flavor is worth getting it right. Let me know how yours turned out and any adjustments you needed to make to get it right. Enjoy! Preheat the oven to 350. Grease an 8×4 loaf pan and set aside. In a bowl combine the flour, baking powder and salt. Set aside. 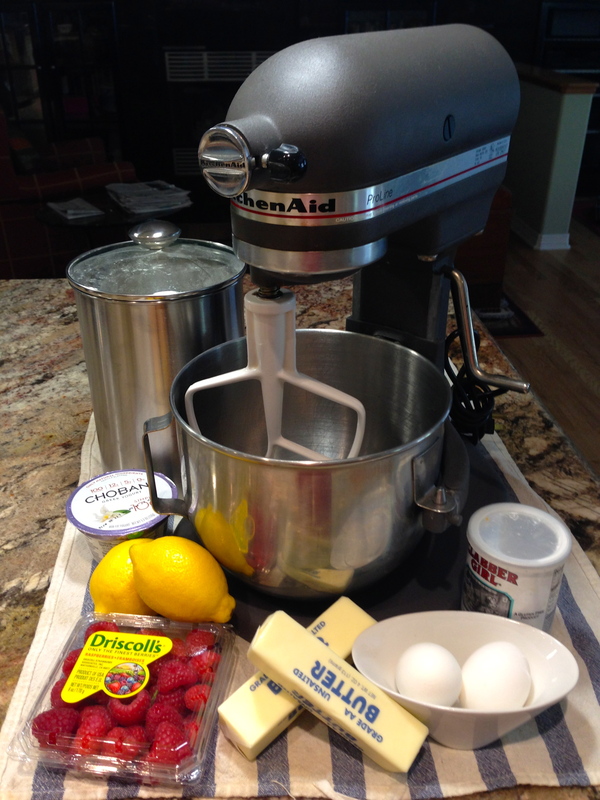 Using an electric mixer, combine the butter and sugar for at least 3-4 minutes. Add eggs one at a time and beat until fully incorporated. Mix in lemon rind and lemon juice. By hand, mix in the dry ingredients (do not use the electric mixer for this). 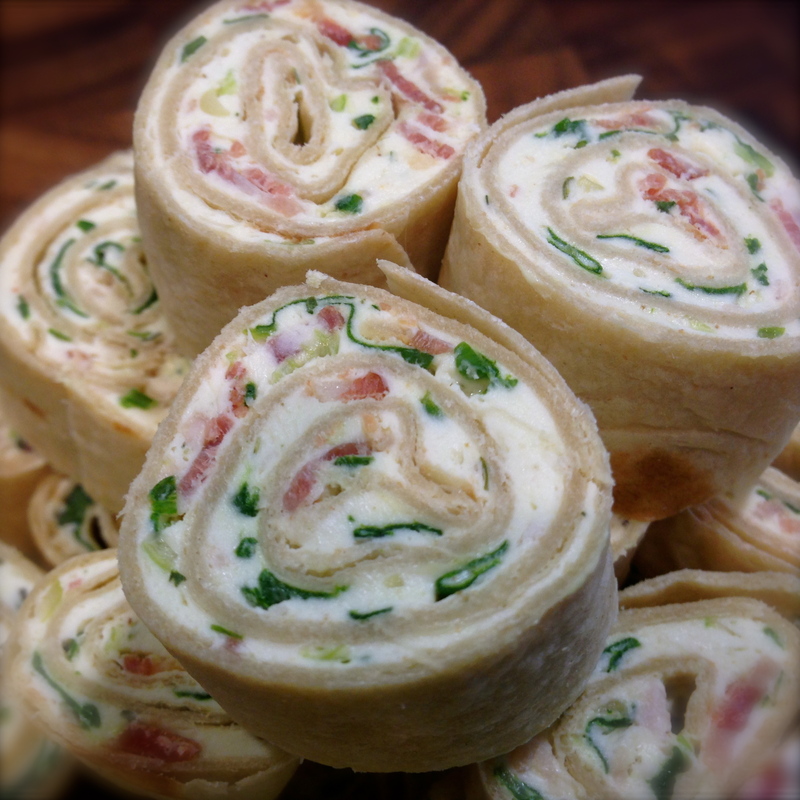 Once combined, fold in the greek yogurt. After that, gently fold in the raspberries. Bake in the oven for 55-60 minutes or until a toothpick inserted in the center of the cake comes out clean. Let cake stand in pan for 15 minutes. Remove from pan and cool completely. 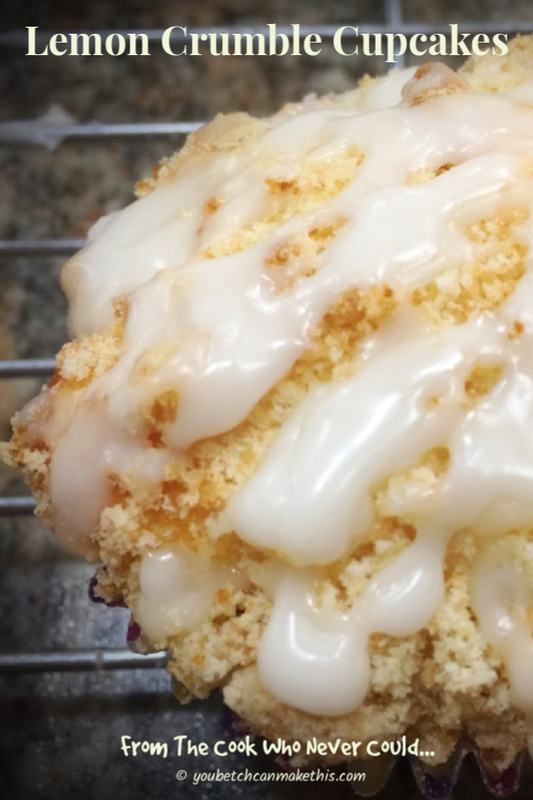 Combine powdered sugar, lemon rind, lemon juice, and heavy cream to make the glaze. Drizzle on top of cooled cake. Just when I think I’m getting pretty knowledgeable in the culinary arts something comes along, be it a technique or a term, that makes me realize I’ve only scratched the surface of my so-called expertise. And so it was today as I was in the midst of my quest for my one new recipe per week goal. I’ve done a lot of main dishes lately and I thought I’d switch to the baking side for a couple of posts. So merrily I skipped off to Pinterest and started perusing pins. 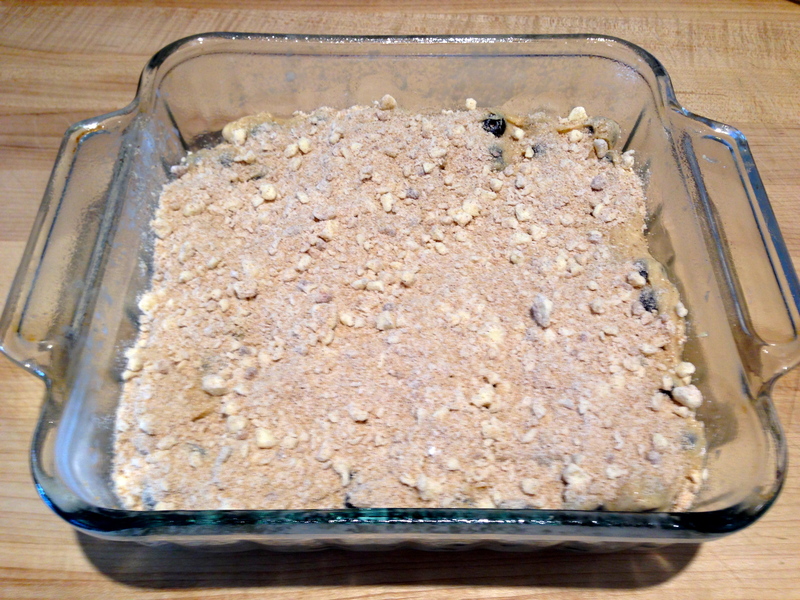 It was the title of the recipe that piqued my interest this time, a recipe for a blueberry buckle. Before today I thought a buckle was a part of a belt. Now I know it is actually a term for a popular dessert that originated in New England. 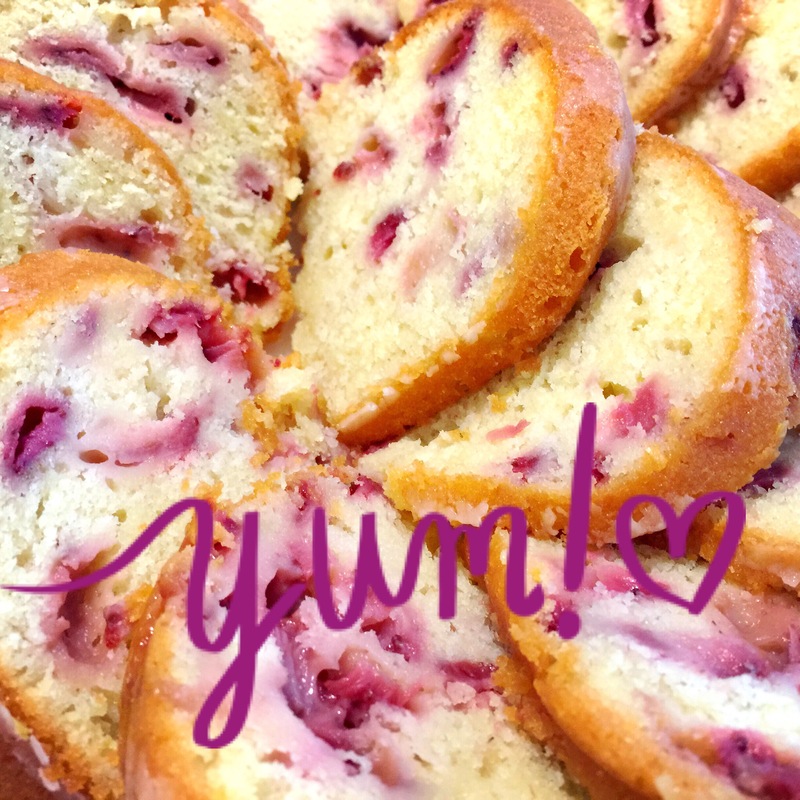 The premiss of a “buckle” is simple, consisting of adding berries to a single layer of cake batter. 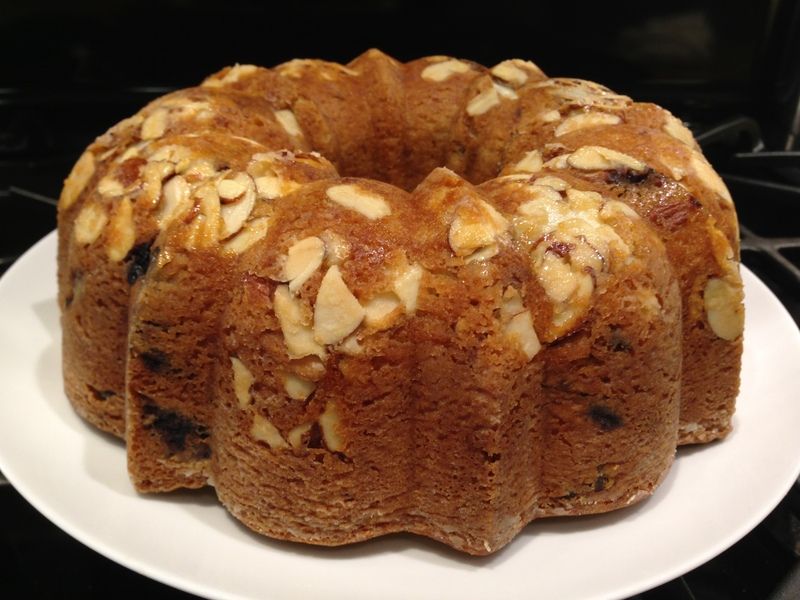 During the baking process the berries sink to the bottom and the cake emerges with a buckled appearance. Who knew you can eat a buckle as well as wear one? Will wonders never cease! The original recipe came from a website called mybakingaddiction.com. It seemed simple enough and this time I was smarter and adjusted the recipe for high altitude and guess what, the cake didn’t didn’t sink in! What a concept! 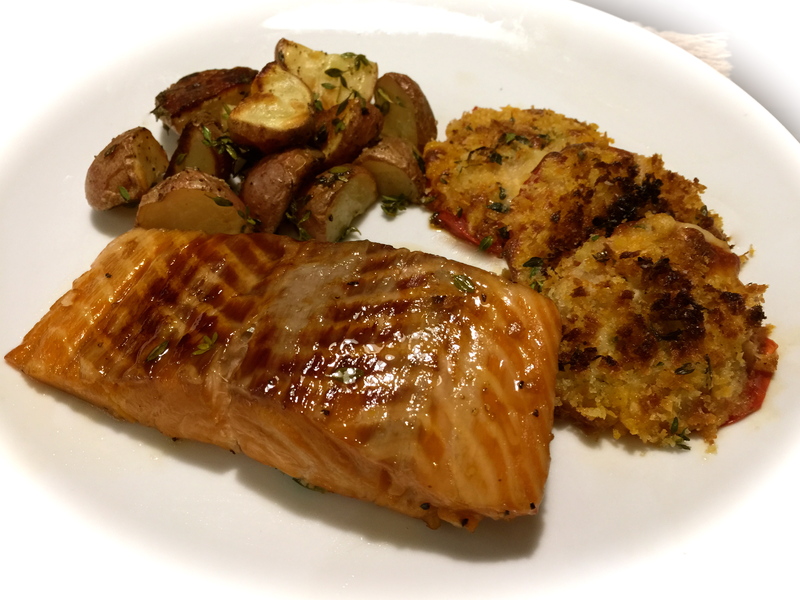 So here are my lessons learned, recipe rating and my version of the recipe. RECIPE RATING: A++++++ This is the best buckle I’ve ever eaten that’s for sure. 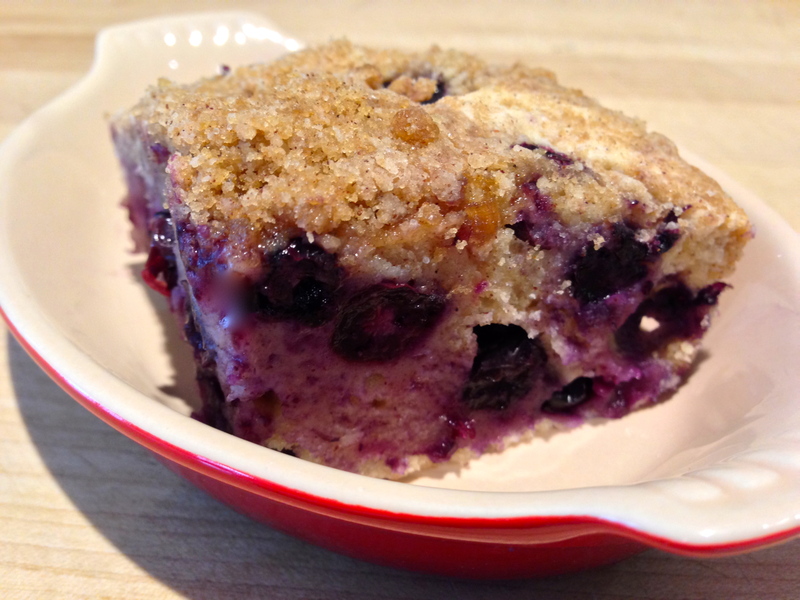 The batter, the streusel topping and the blueberries all combine into one very delicious cake. Plus, you know me, I’m always a very happy camper when something turns out right the very first time you make it. I learned my lesson from not making the high altitude adjustments to my strawberry cream cheese coffee cake recipe. This time the adjustments were made and the cake turned out perfectly. I will outline the adjustments in the recipe below. LESSON LEARNED 1: This time I made the streusel topping in a food processor versus trying to hand cut the cold butter into the other streusel ingredients. The mixture turned out much better. I simply pulsed the mixture until a greater portion of the mixture looked like very small pebbles. I will definitely make streusel that way from now on. LESSON LEARNED 2: The original recipe called for two cups of blueberries. Next time I may try to cut that back a little to a cup and a half. That was a lot of blueberries and I think I might try having the cake be a tad more prominent. But use two cups if you like. I want to see if I can better balance the ratio of blueberries to cake. But then again, maybe that’s the nature of a buckle. There was certainly nothing wrong with how the cake tasted with two cups of blueberries. LESSON LEARNED 3: As on average in high altitude, things take longer to cook. The original recipe called for baking the buckle for 25-30 minutes at 375. I would up baking it for 40 minutes. LESSON LEARNED 4: The original recipe called for 1/4 cup shortening. I’m not a big fan of shortening so I used butter and it was fine. 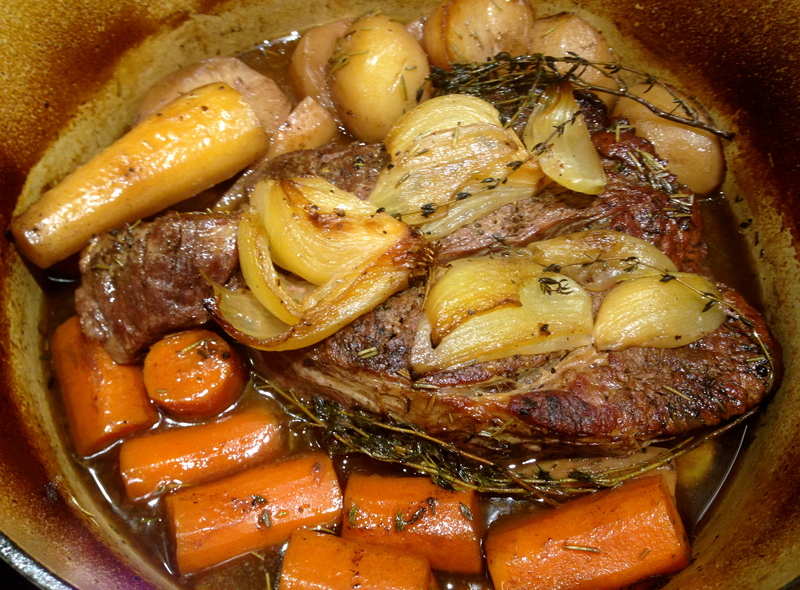 LESSON LEARNED 5: I like this recipe because it is a good size for two people. I made it in an 8 x 8 pan and that is a perfect size for two people who will be munching on it over the next couple of days. I have nothing negative to say about this recipe. The original recipe was written clearly, suggested substitutions, and turned out perfectly the first time. The only word of caution is that you use a lot of dishes to prepare the cake, but take my word for it, it’s worth it! 3 TBS cold unsalted butter cut into cubes. Preheat oven to 375 degrees. In a medium bowl whisk together the flour, baking powder, salt and cinnamon and set aside. Put all of the streusel ingredients except the butter into a food processor and set aside. In a large bowl with an electric mixer, combine butter and sugar until fluffy. Add egg and vanilla and combine thoroughly. Add the dry ingredients, alternating with a small portion of the milk. Start with the milk and end with the milk until the dry and wet ingredients are just combined. Fold in the blueberries. Spray an 8 x 8 pan with cooking spray. Spoon batter into the pan and spread out evenly. Cut the cold butter into cubes and add to the food processor. Pulse until a greater portion of the mixture resembles small pebbles. Spoon over prepared batter. Bake in the oven for 25-30 minutes (high altitude can take as long as 40 minutes). Let cool for 20 minutes. Serve with vanilla ice cream or fresh whipped cream.